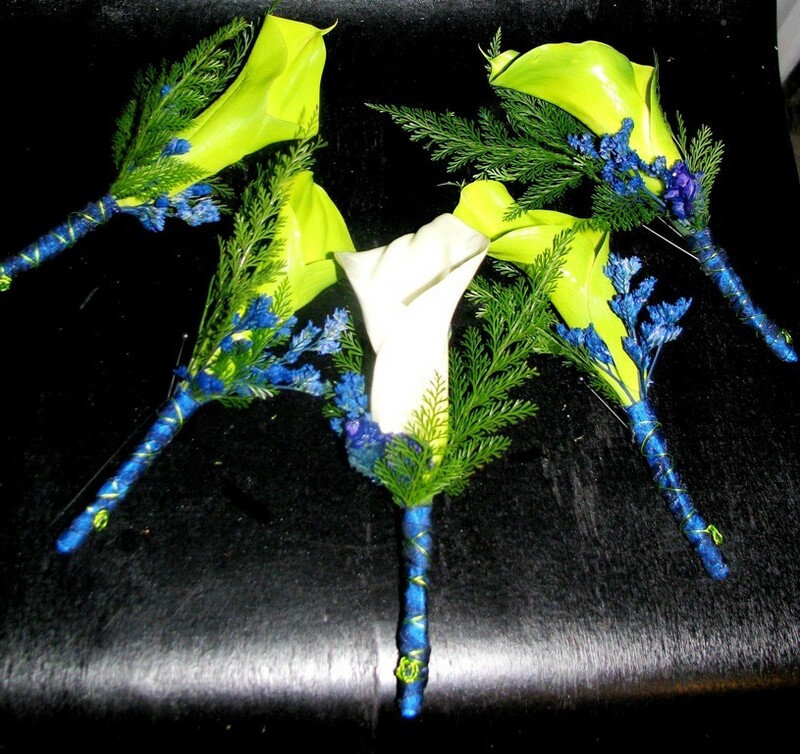 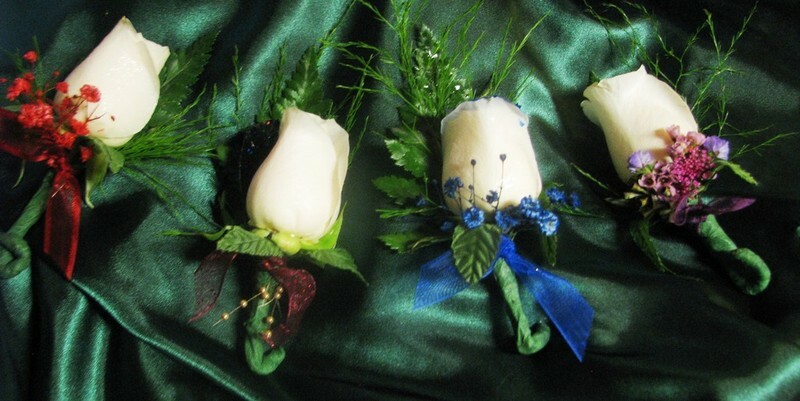 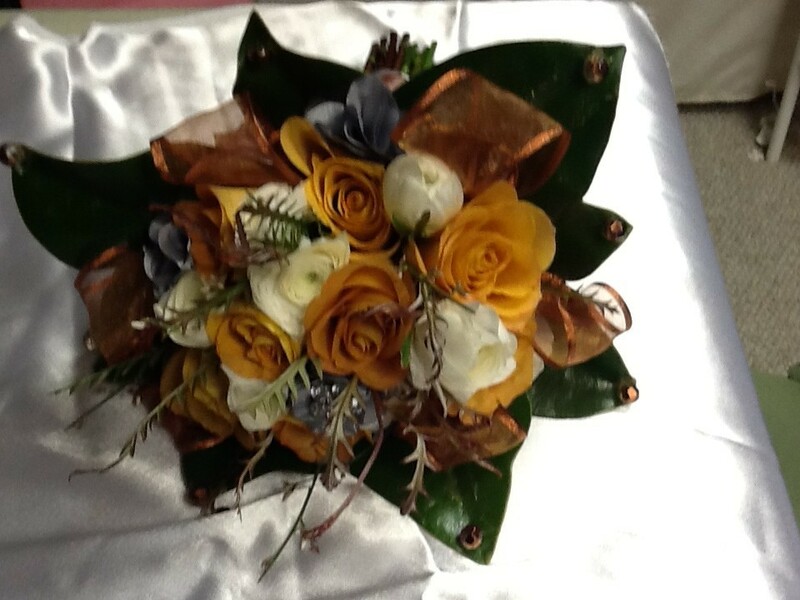 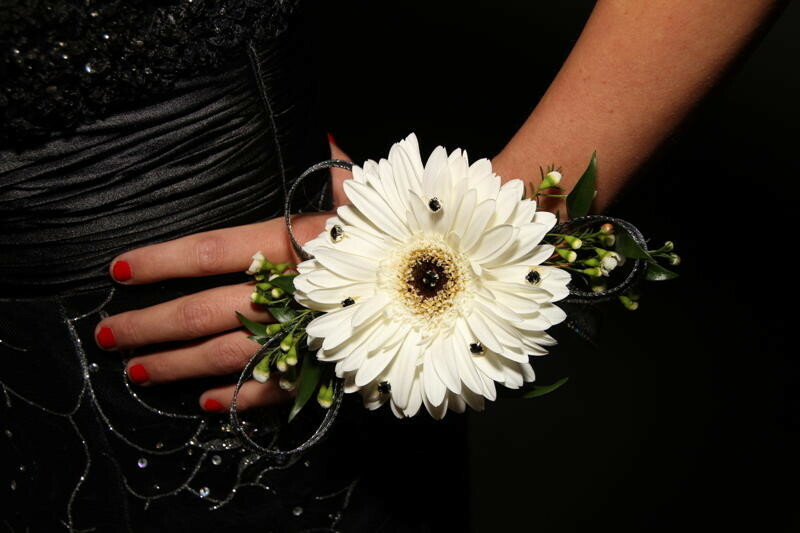 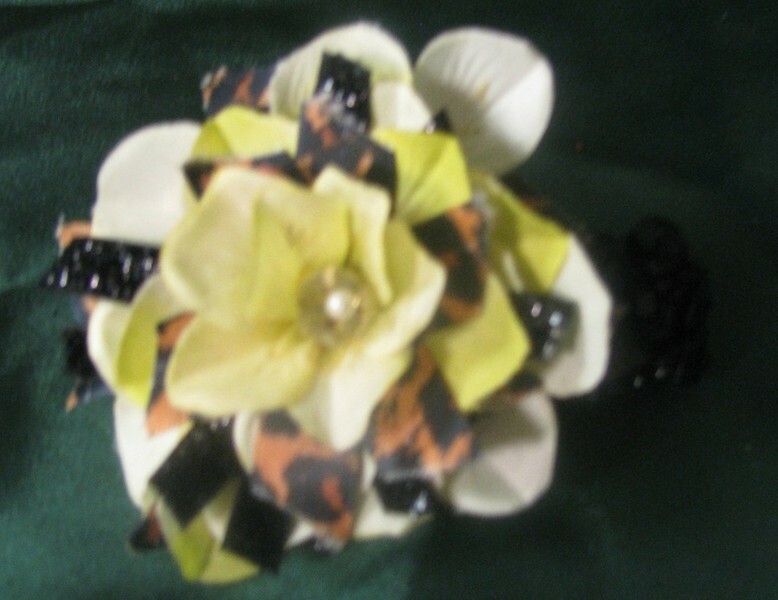 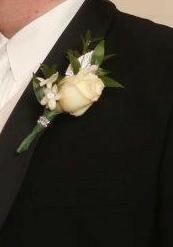 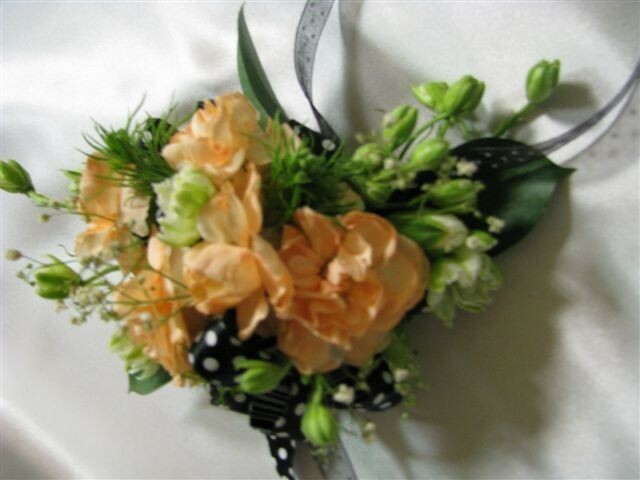 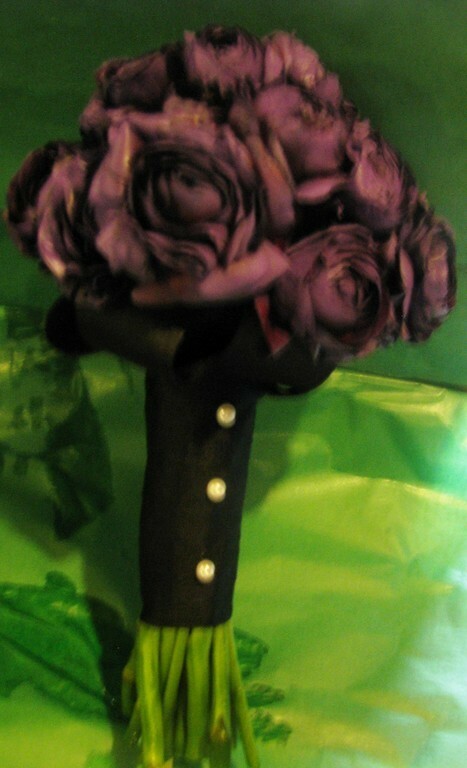 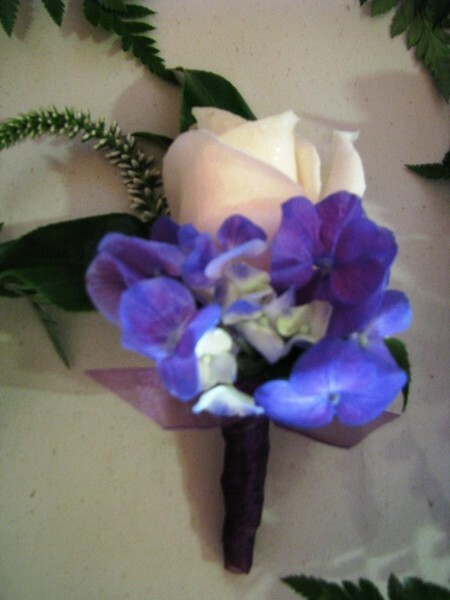 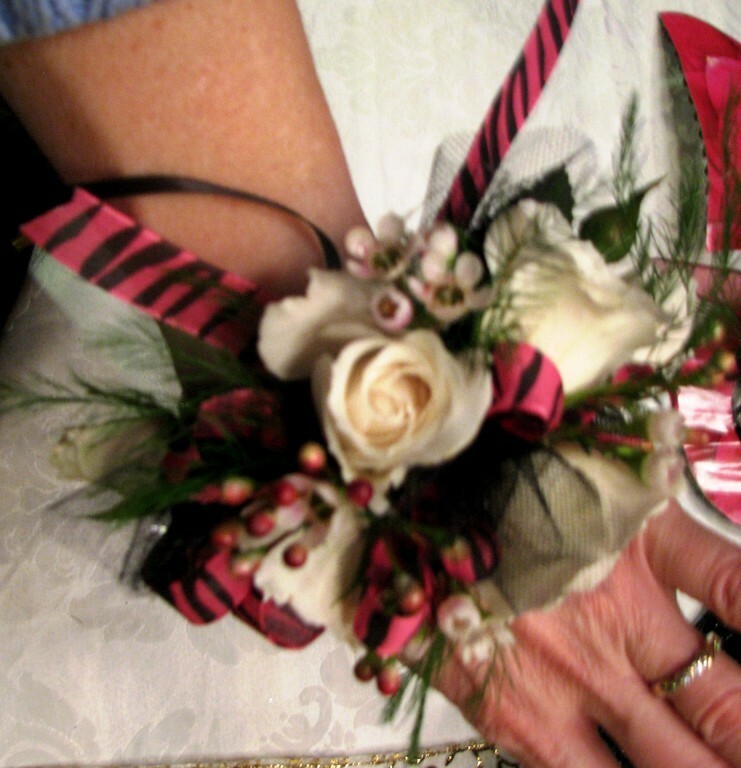 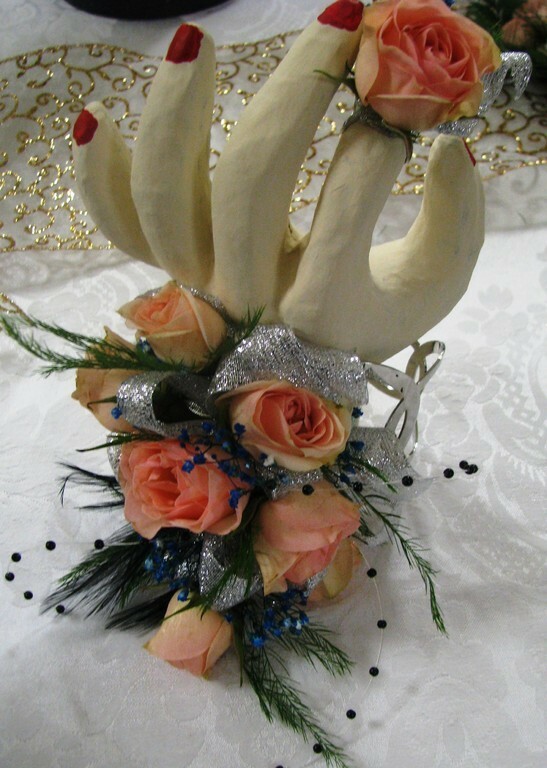 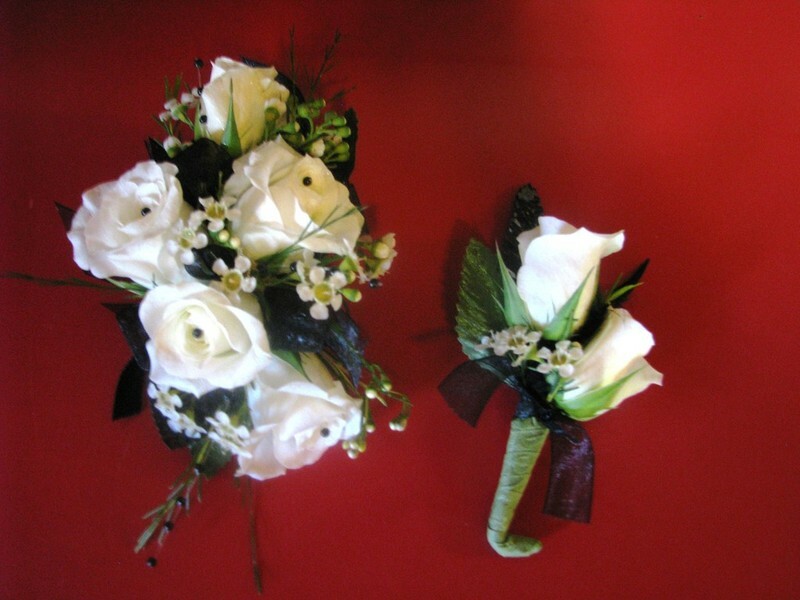 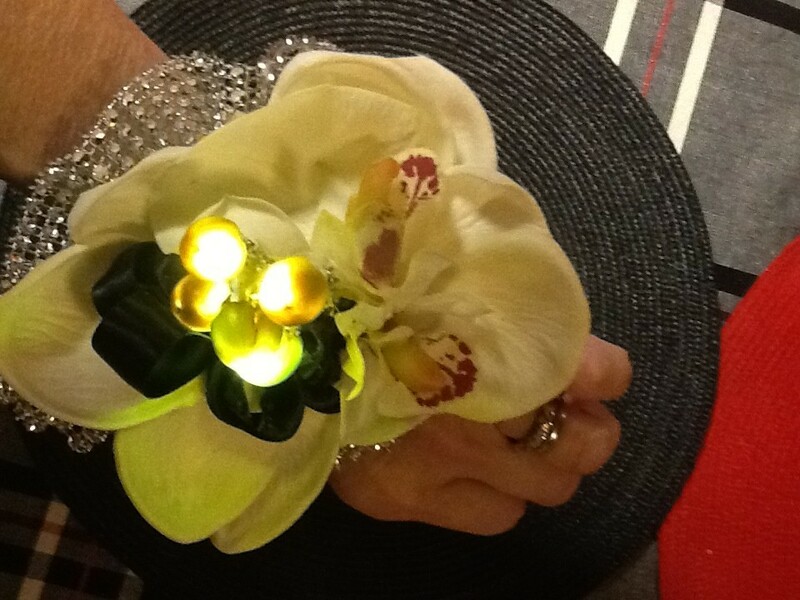 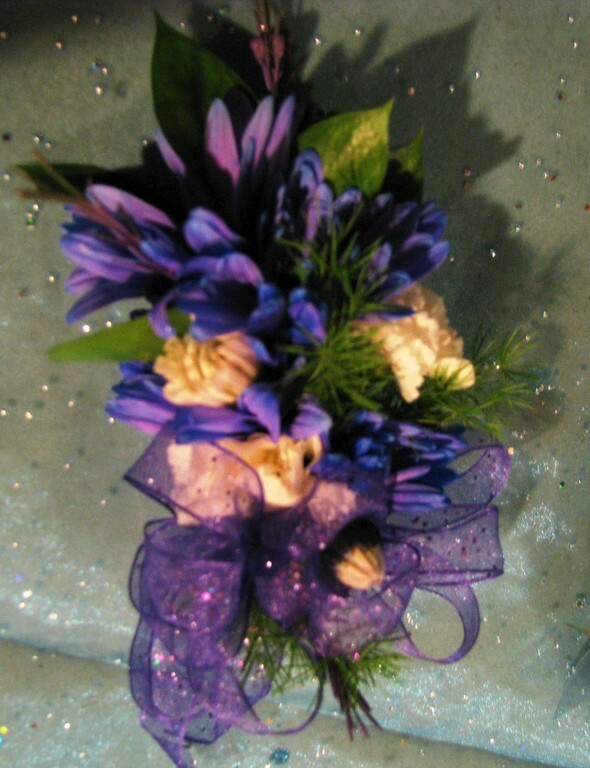 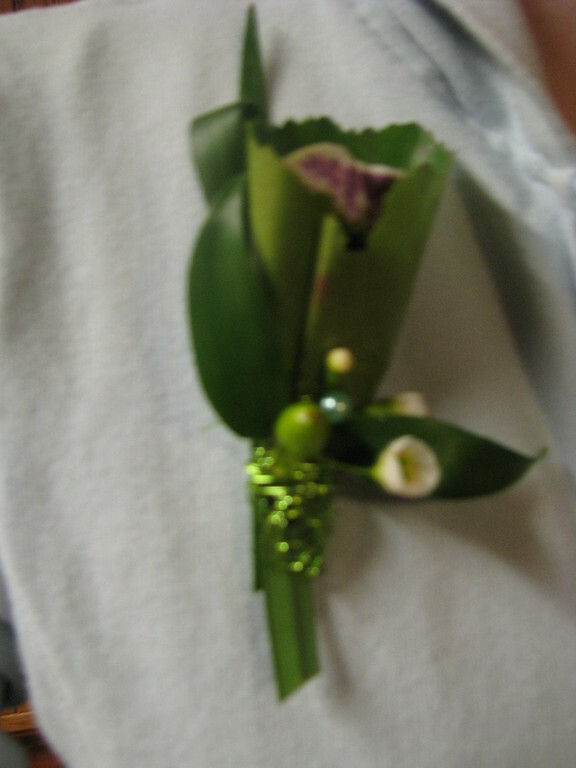 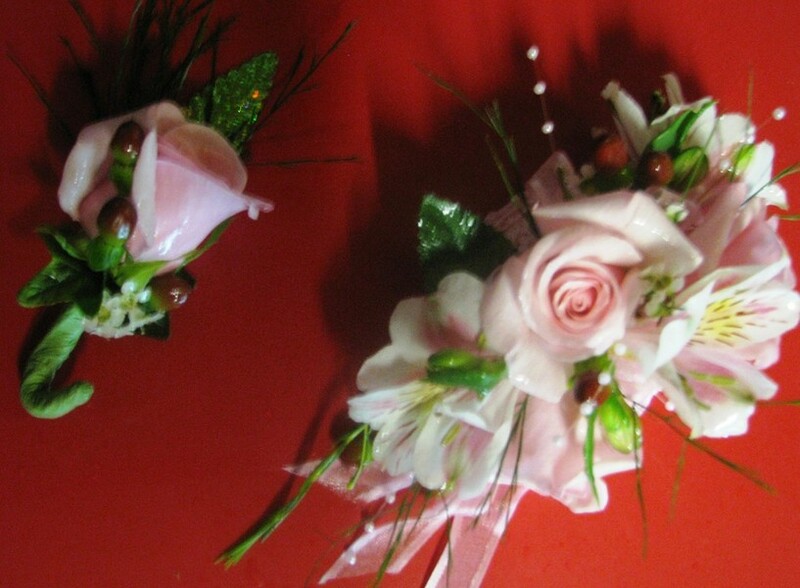 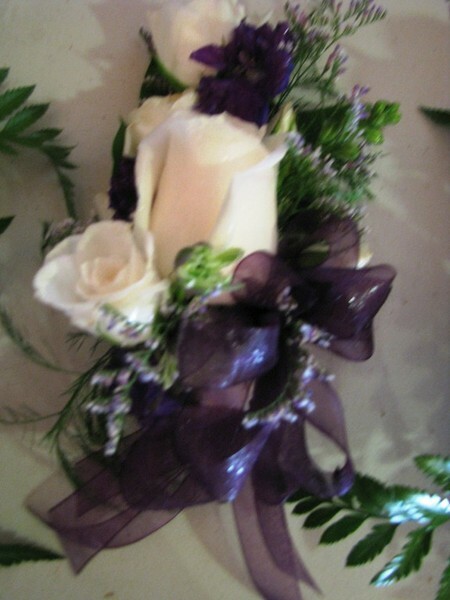 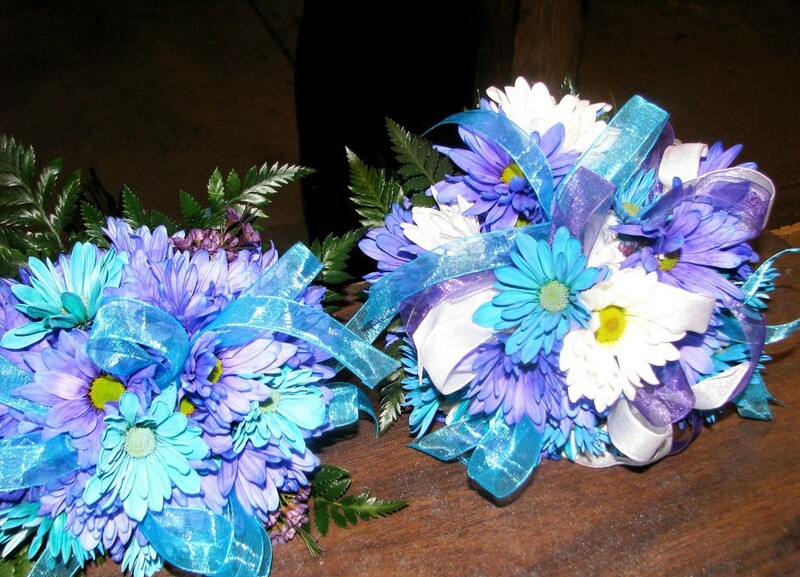 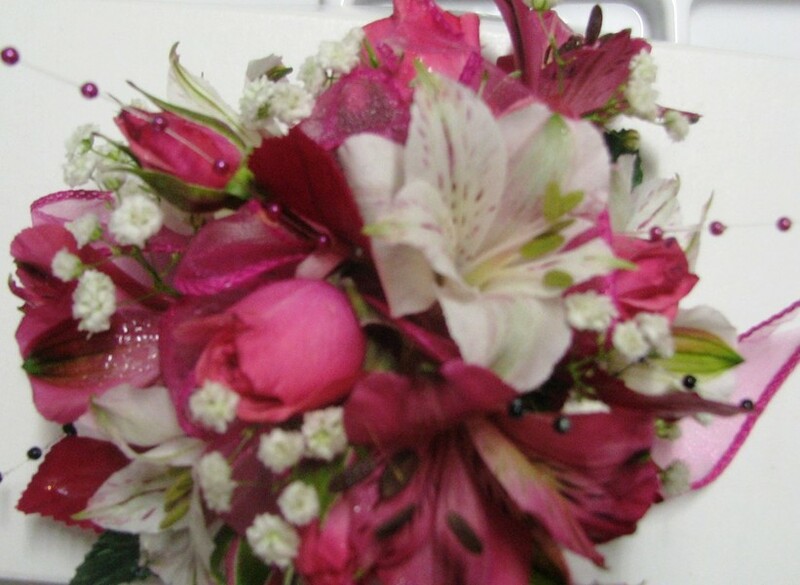 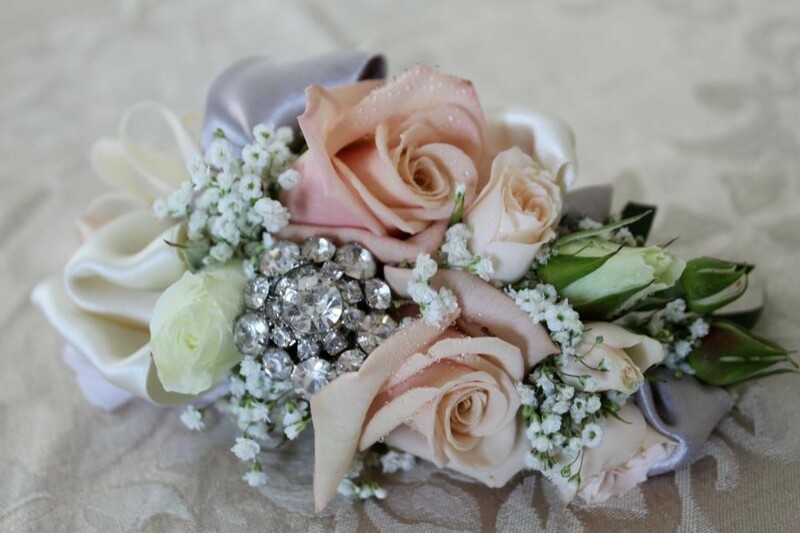 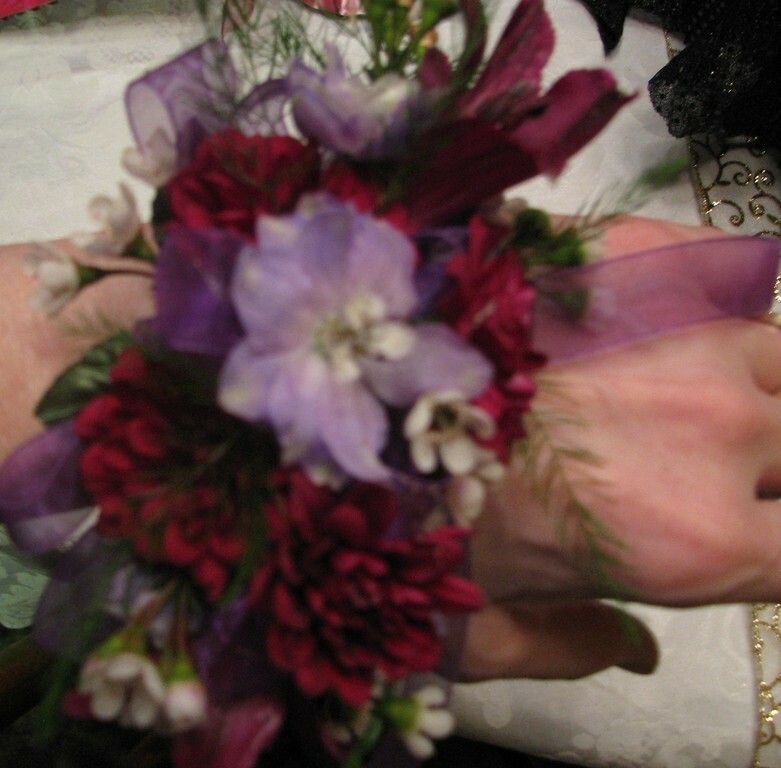 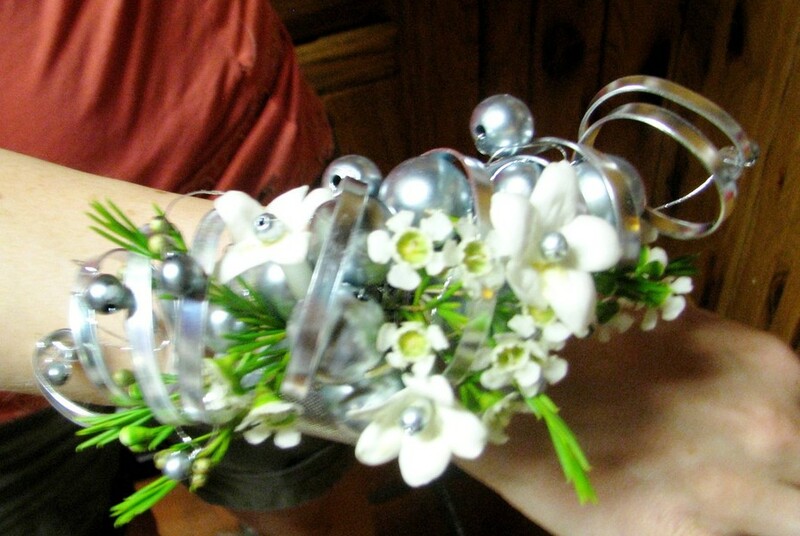 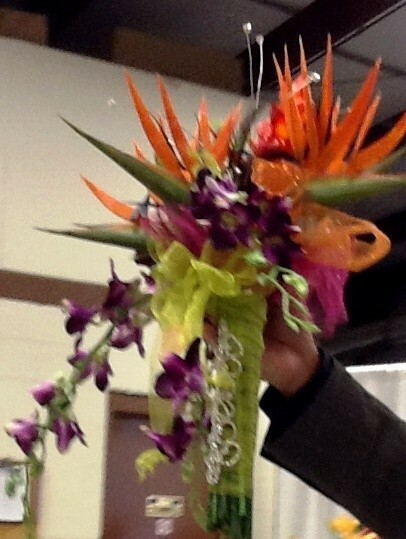 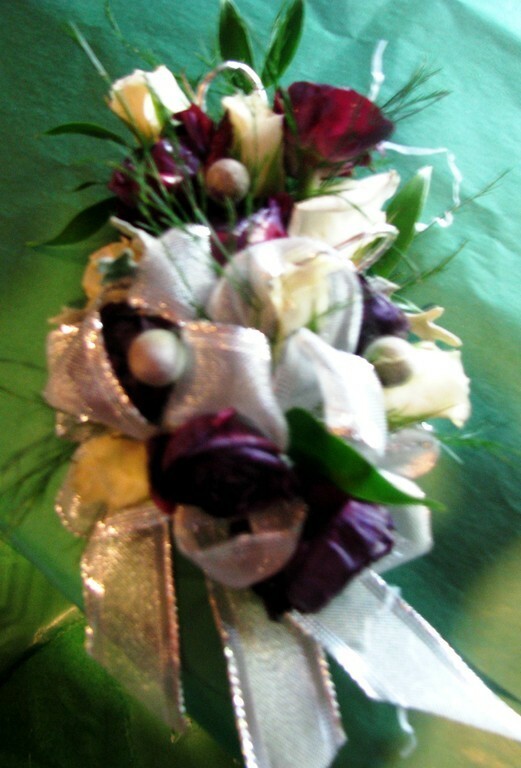 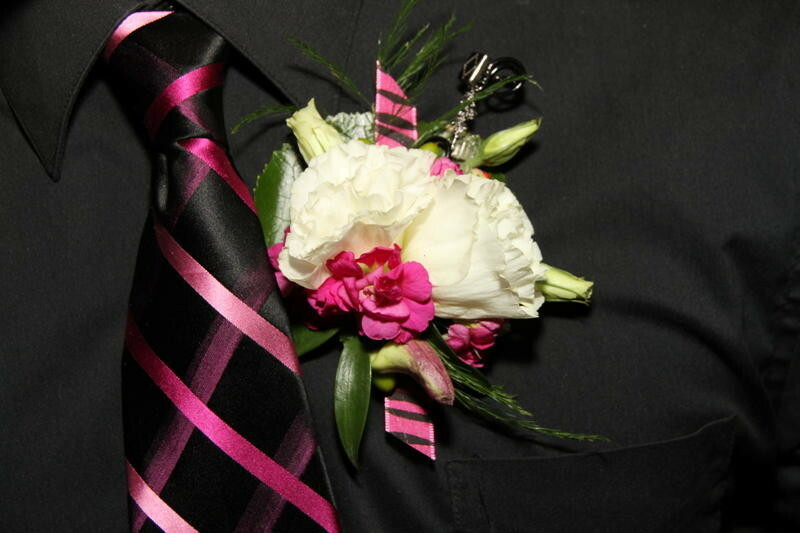 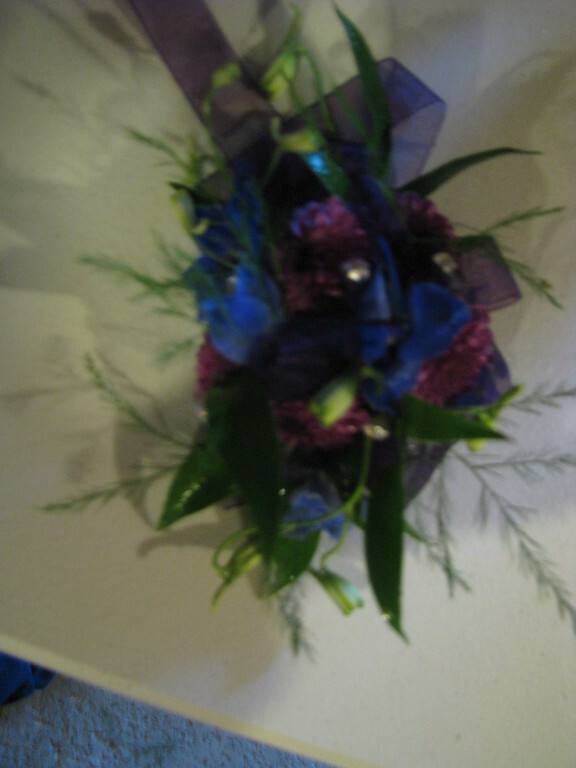 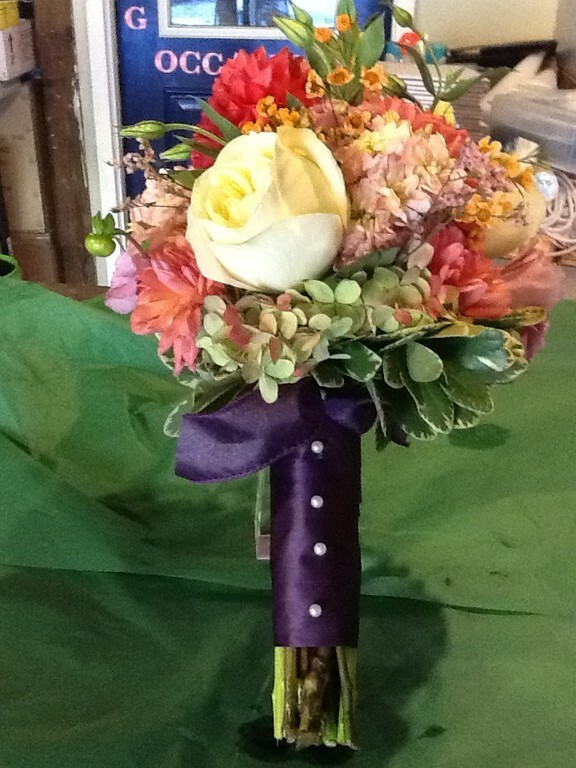 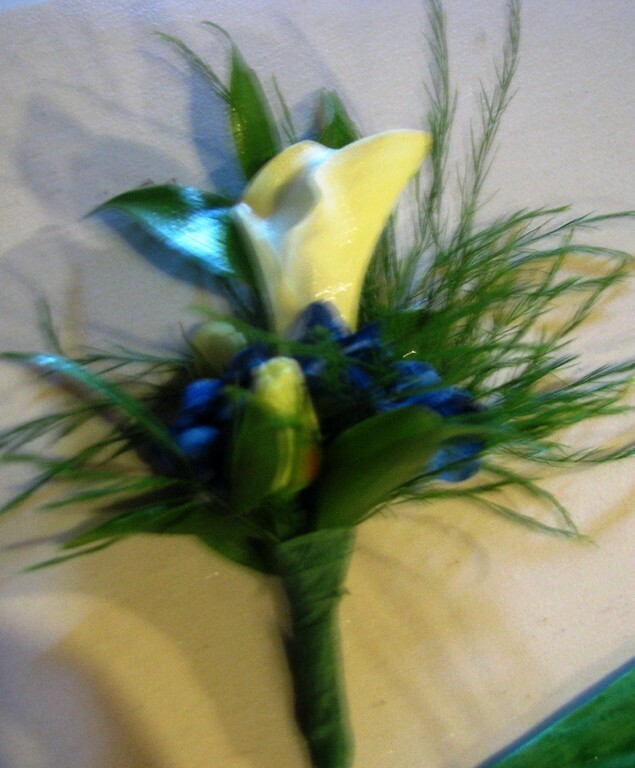 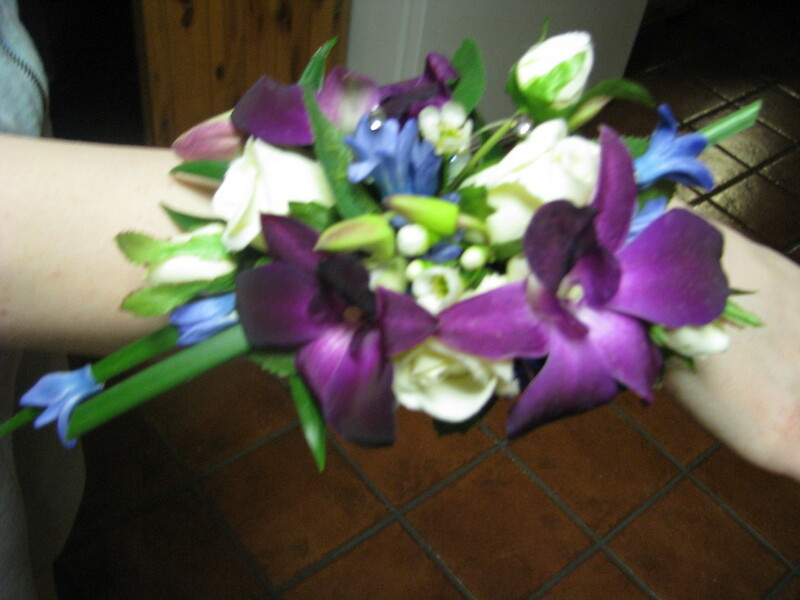 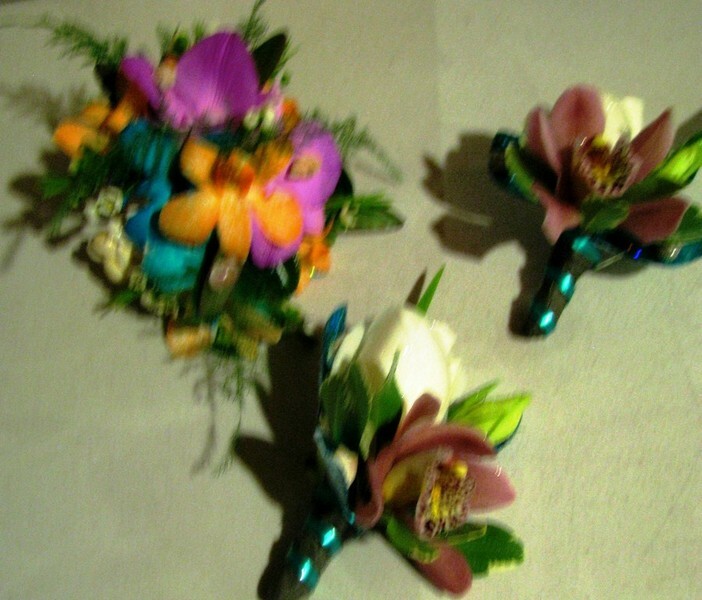 Here are a few samples of some of our past wedding and school dance corsages and boutonnieres. 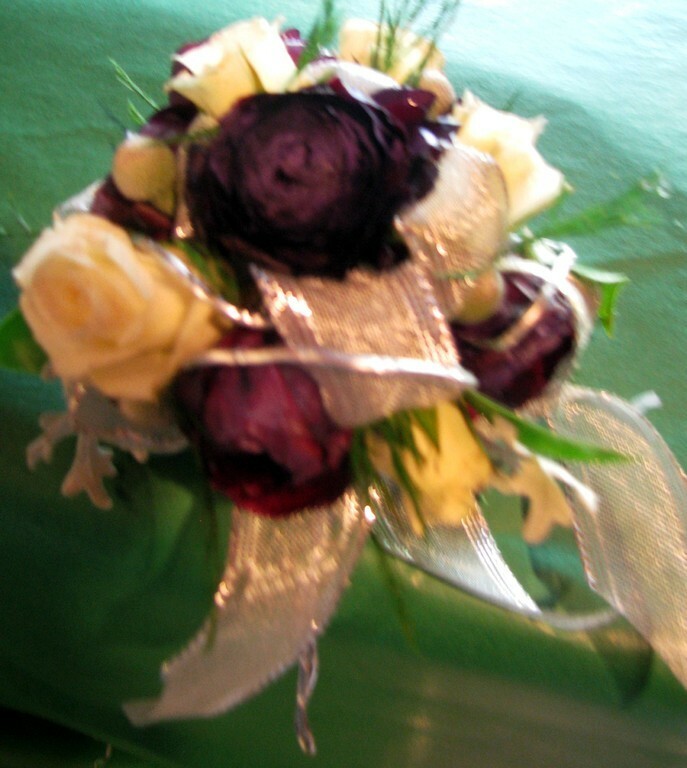 We can do any style or color that you might need. 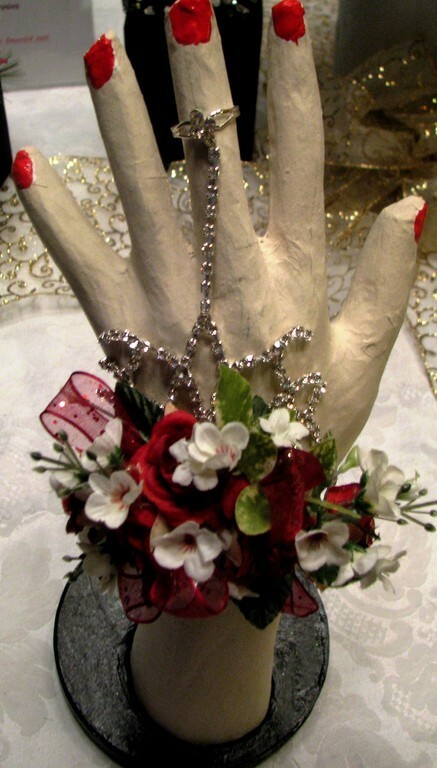 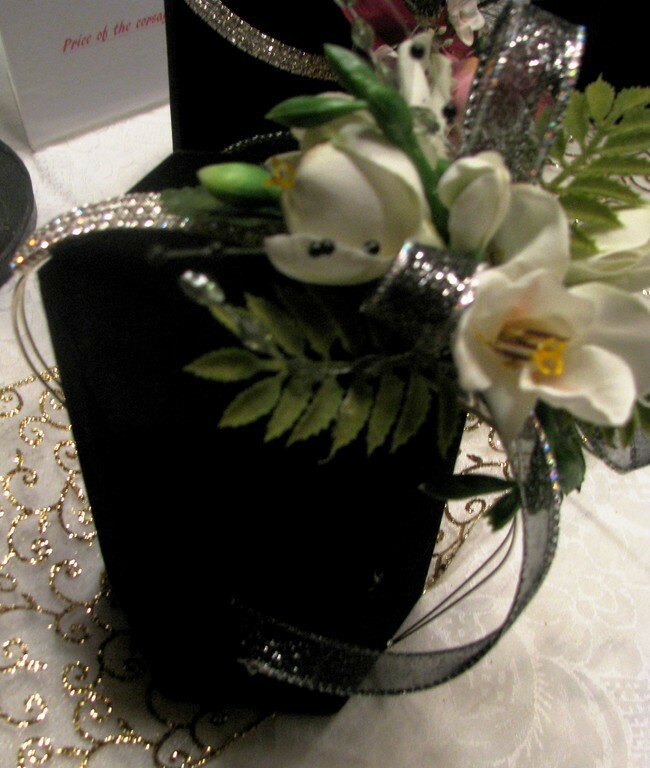 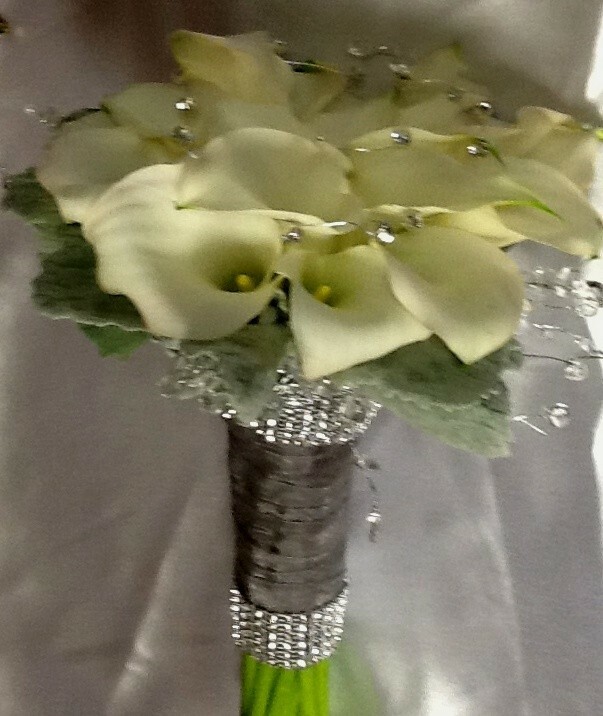 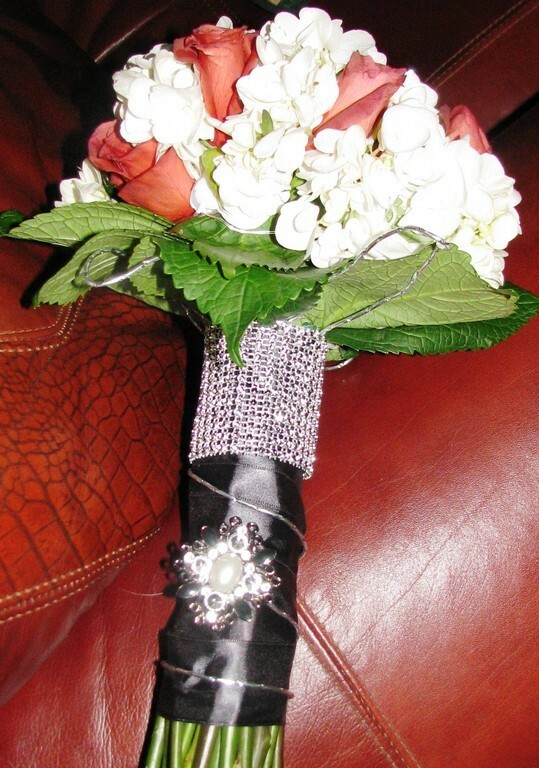 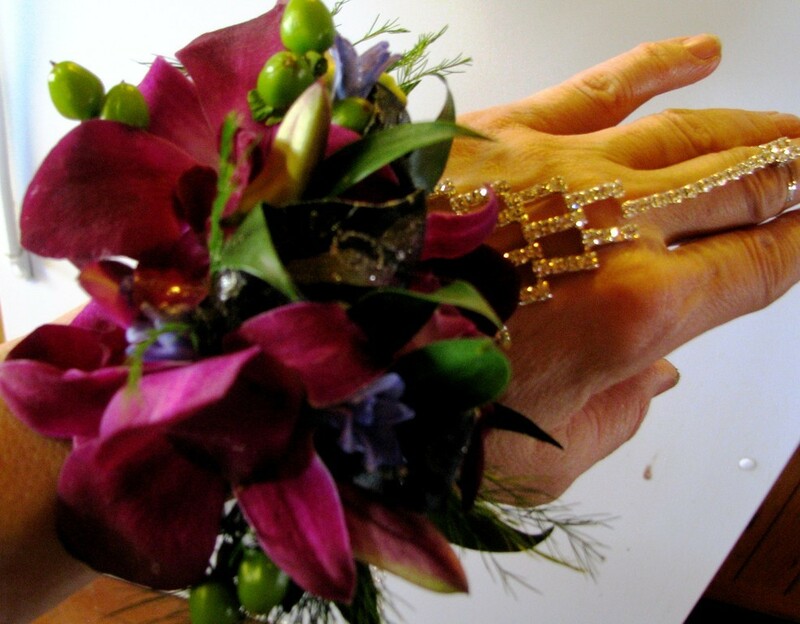 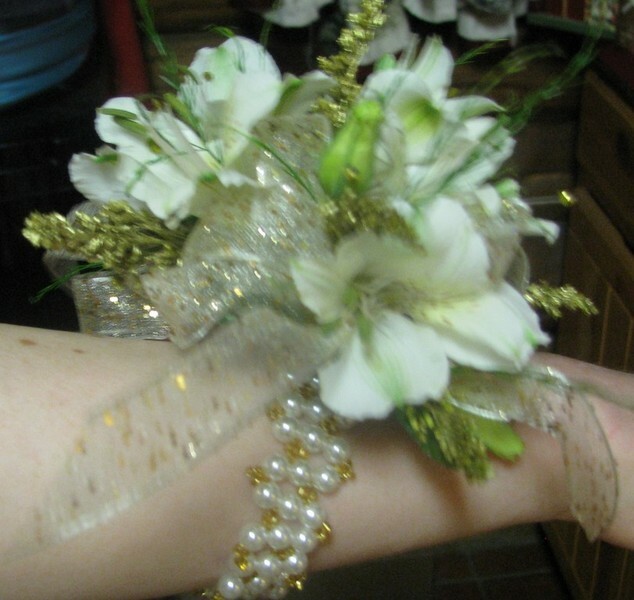 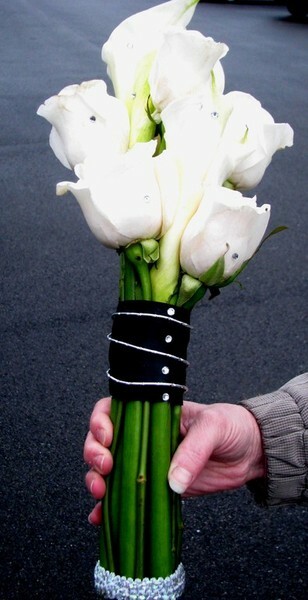 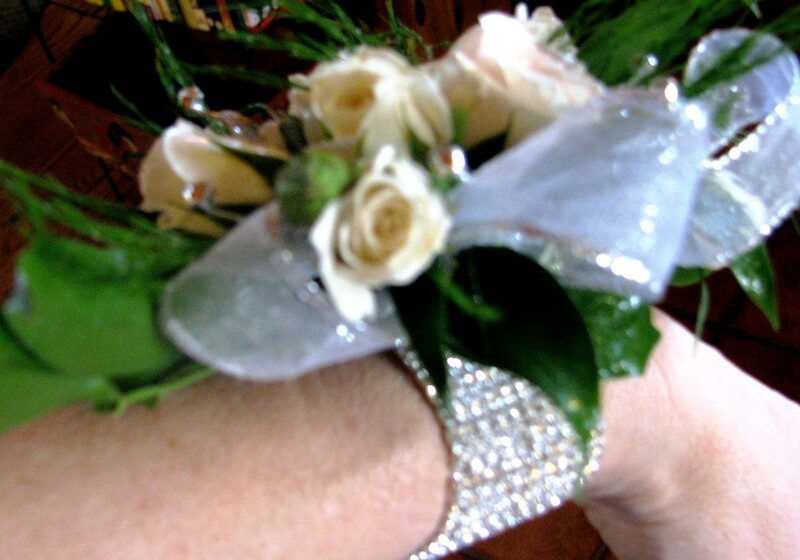 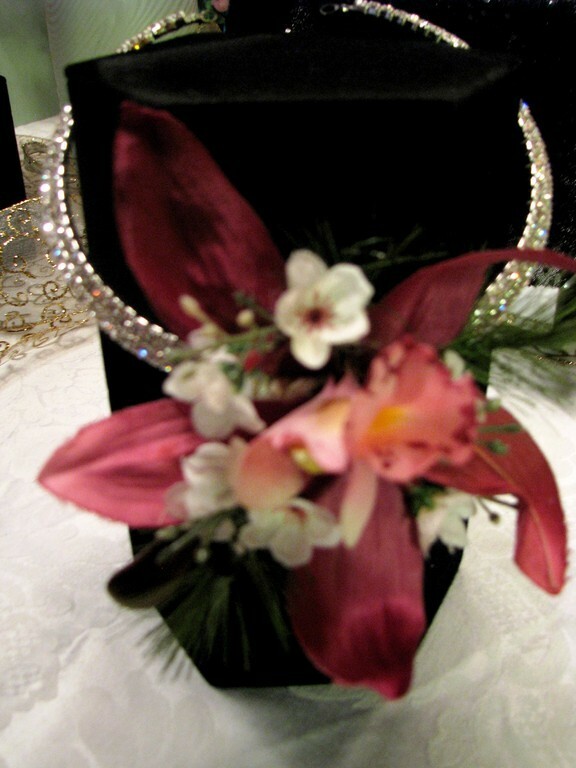 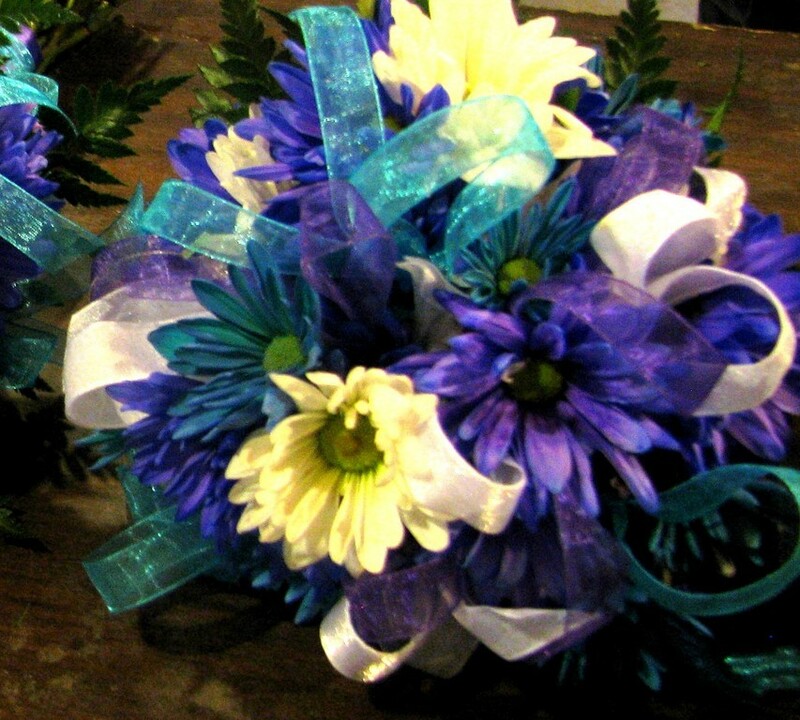 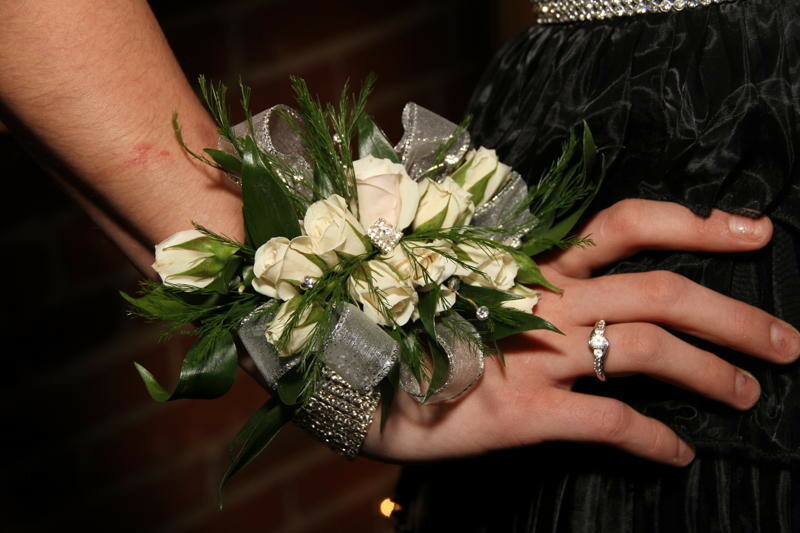 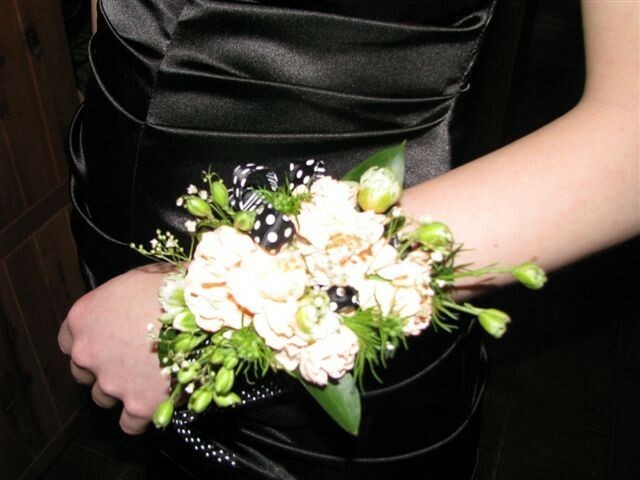 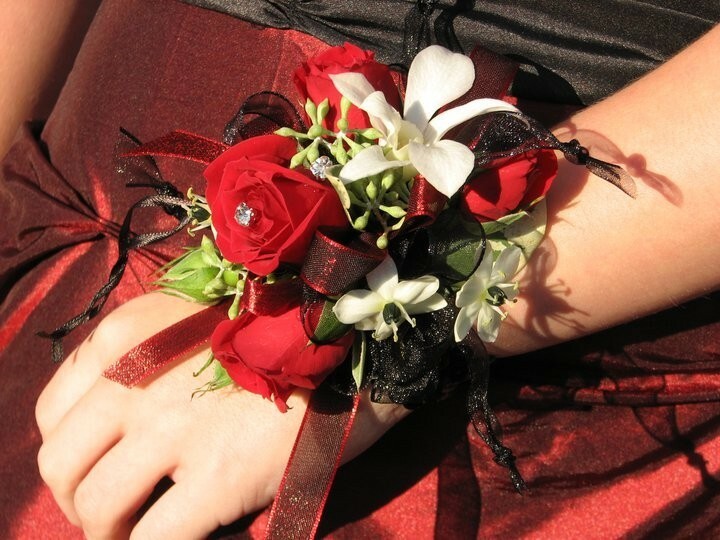 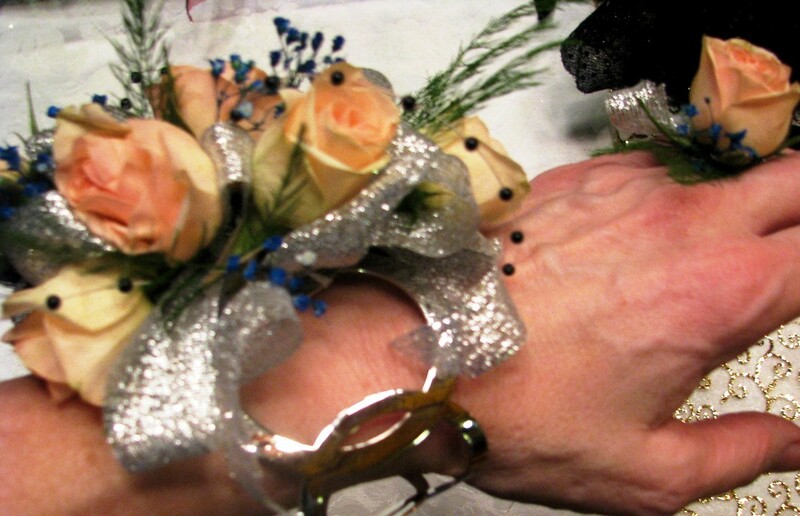 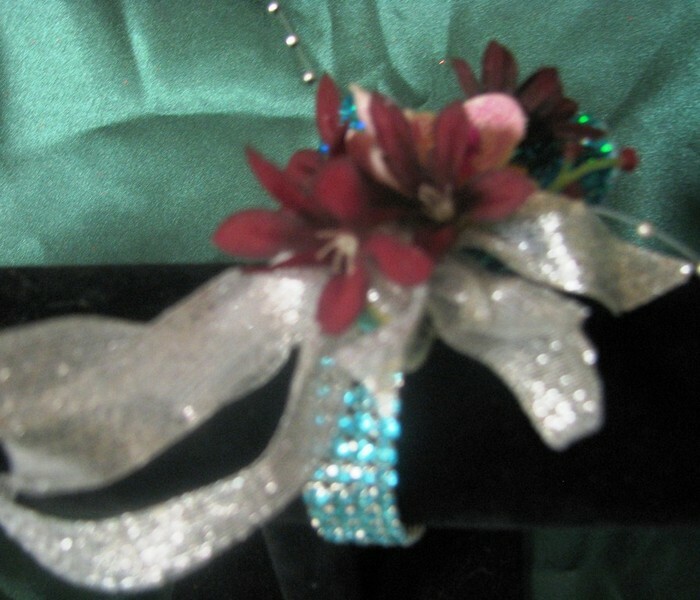 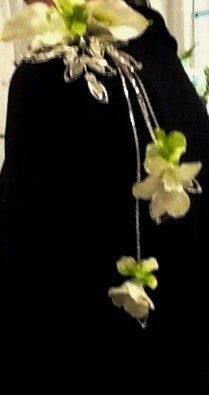 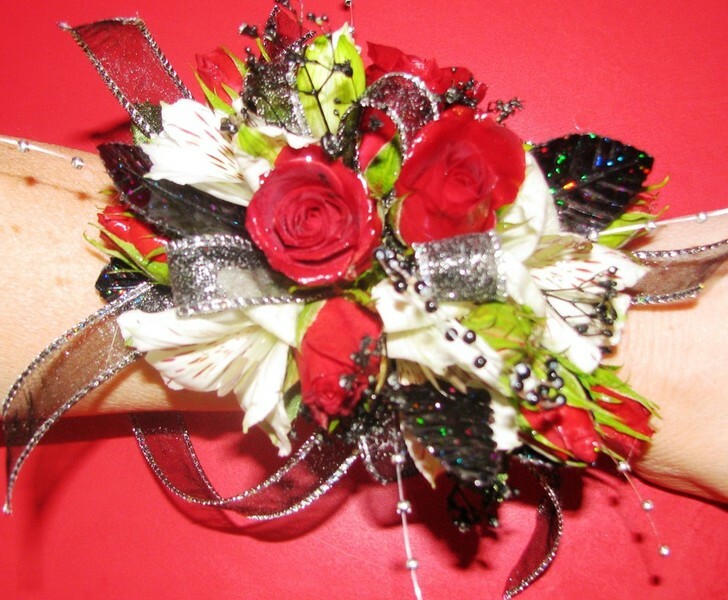 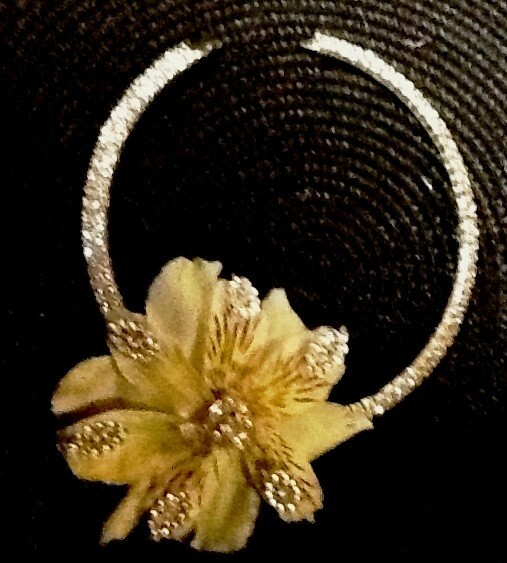 We also carry a line of jewerly to put the corsages on. 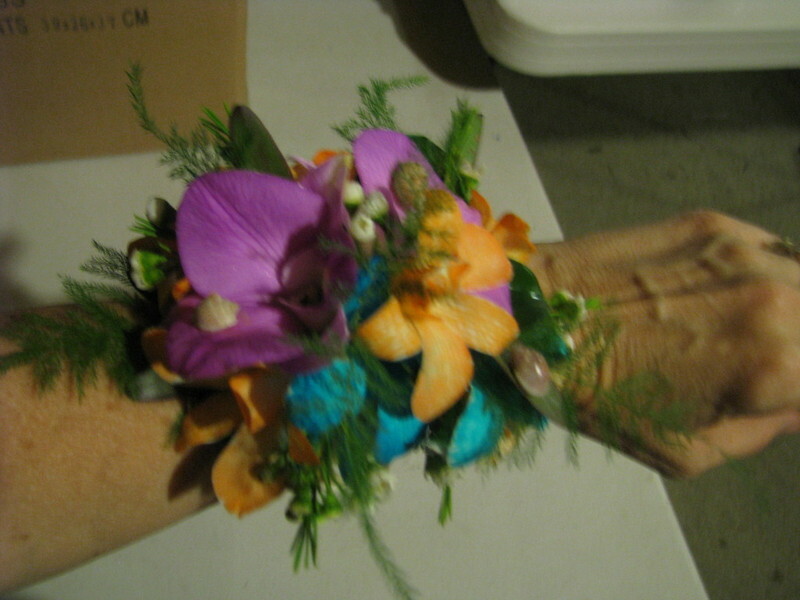 You don't have to wear that old ugly elastic wrist band anymore. 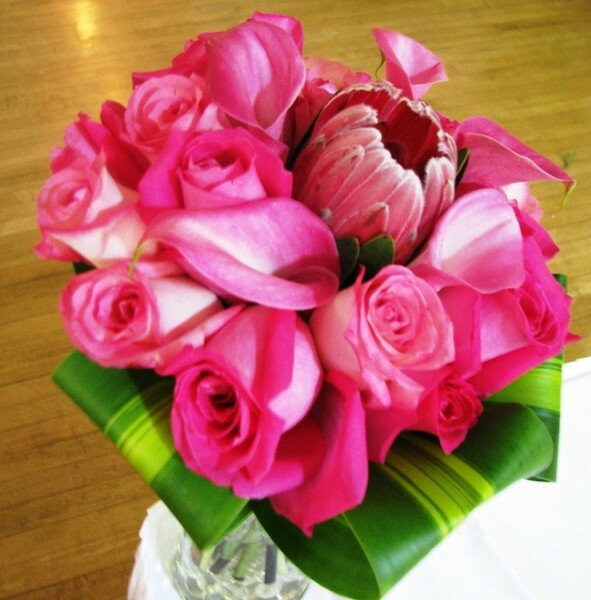 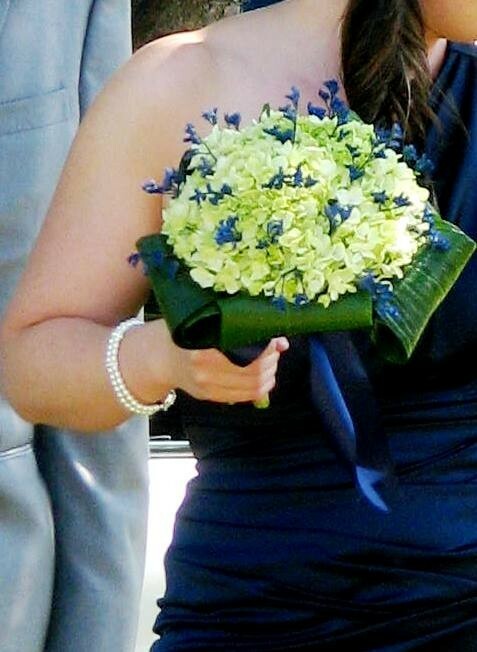 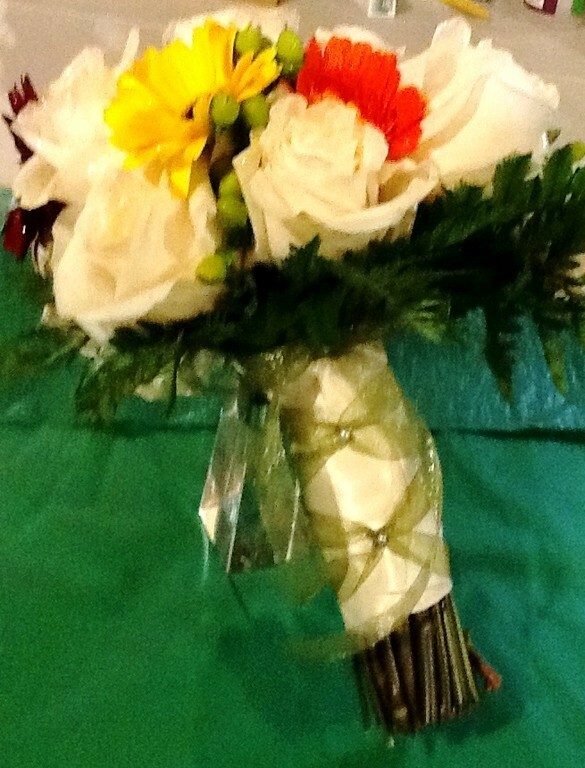 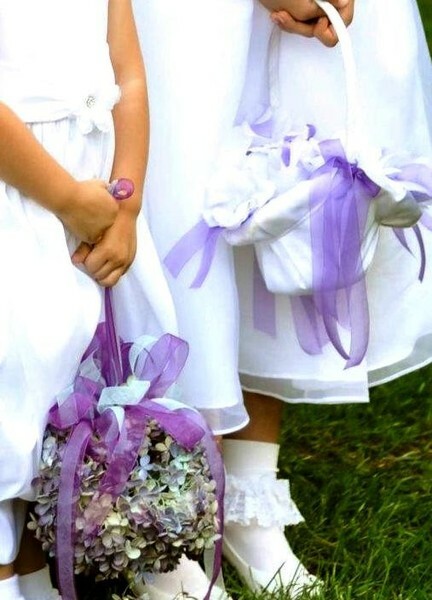 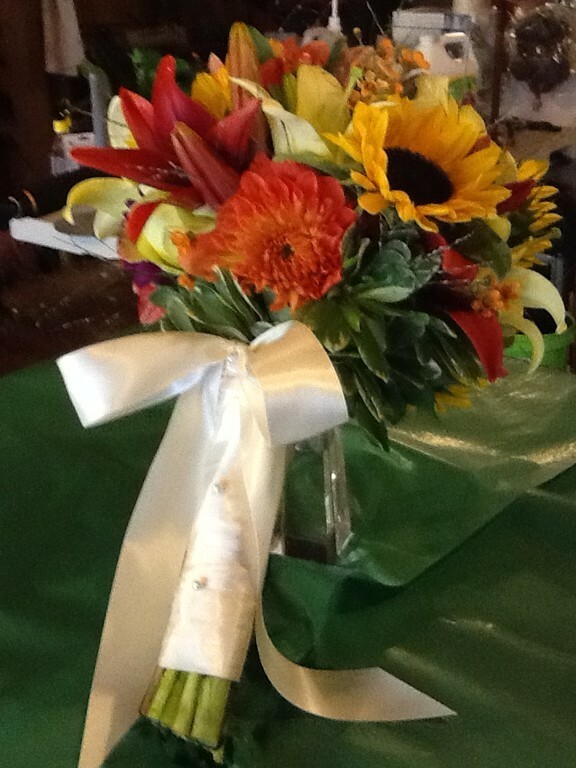 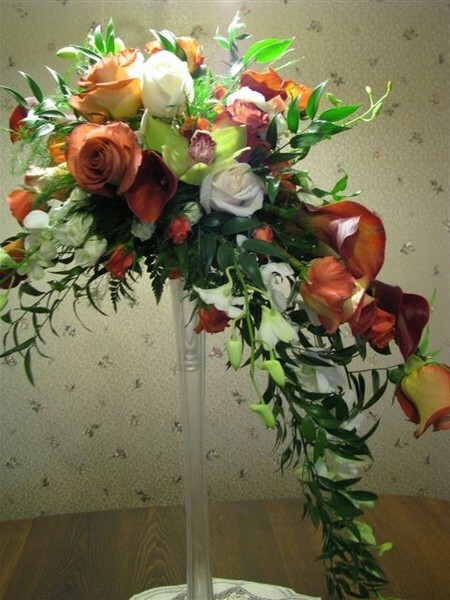 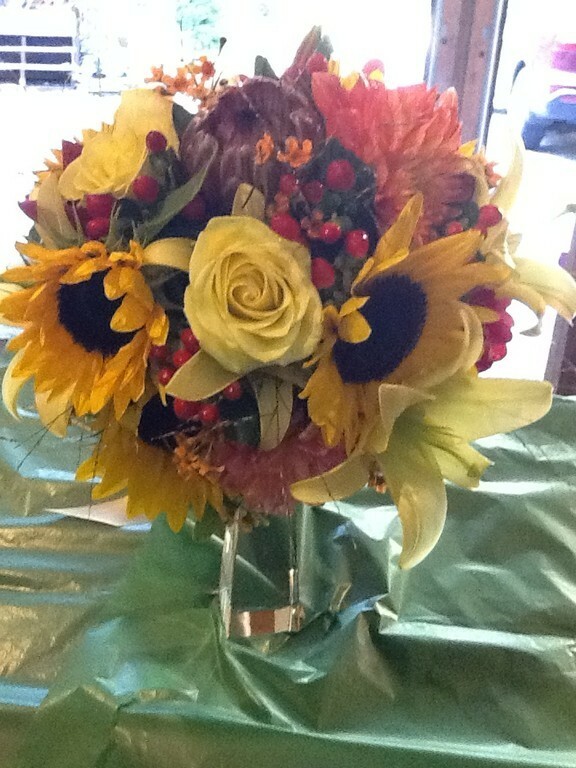 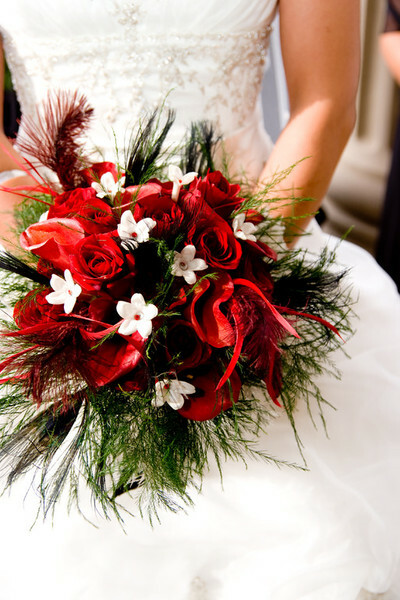 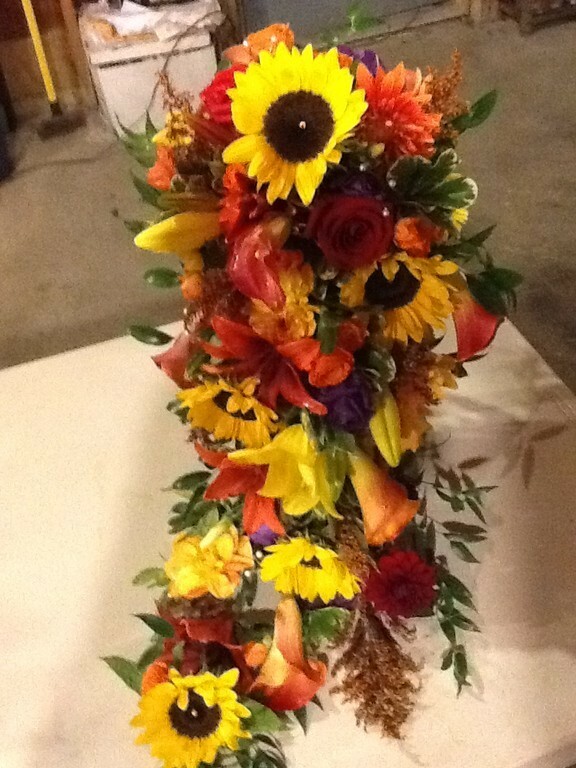 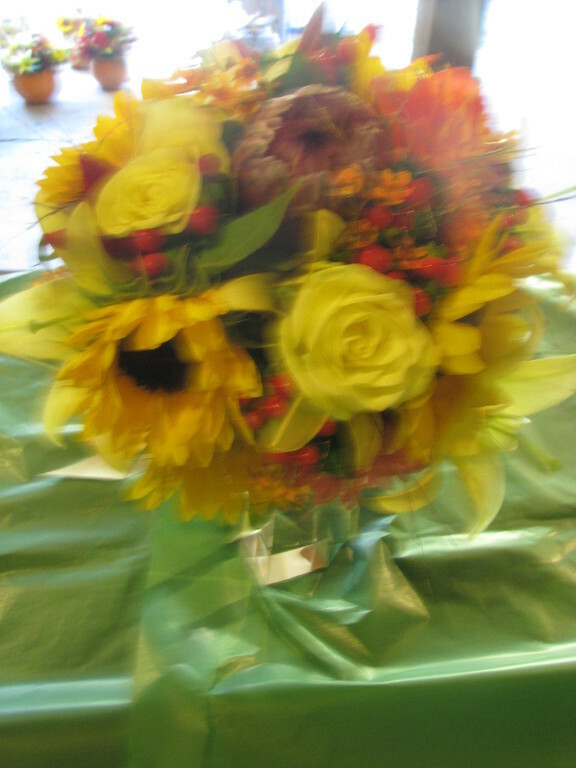 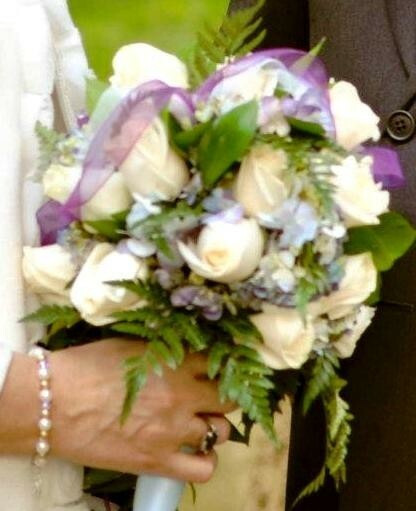 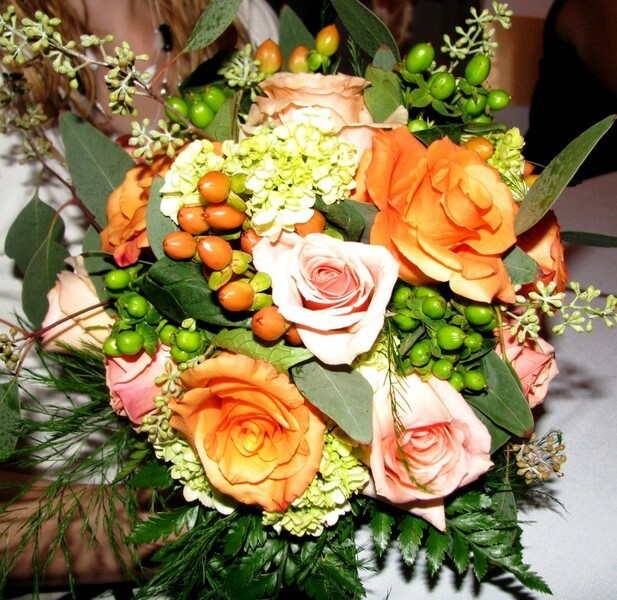 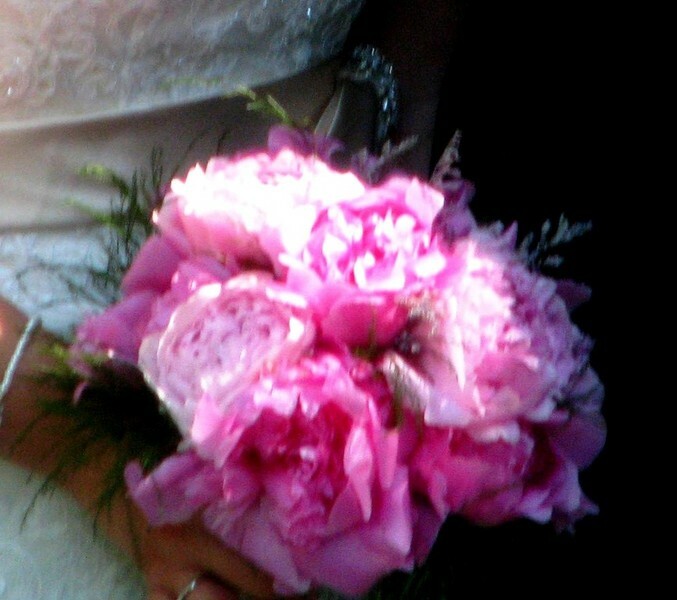 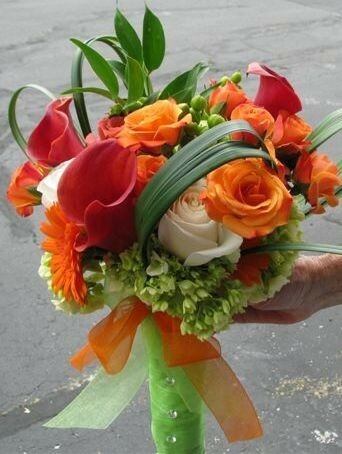 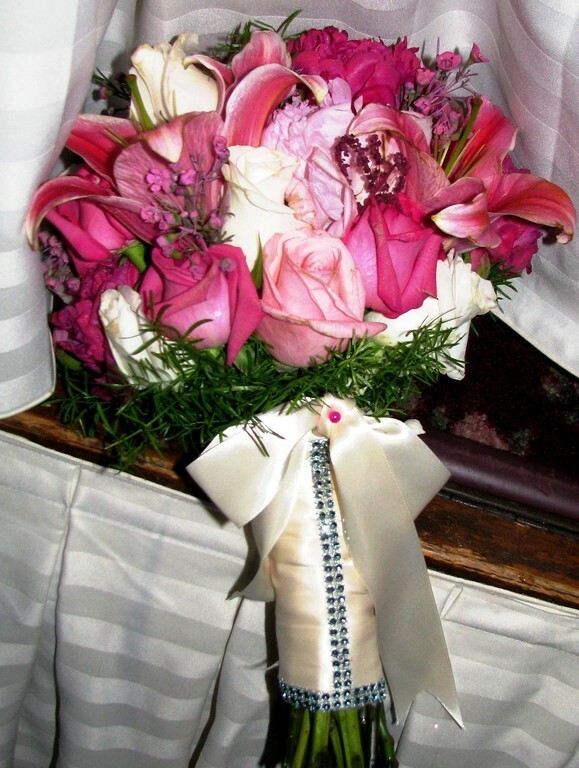 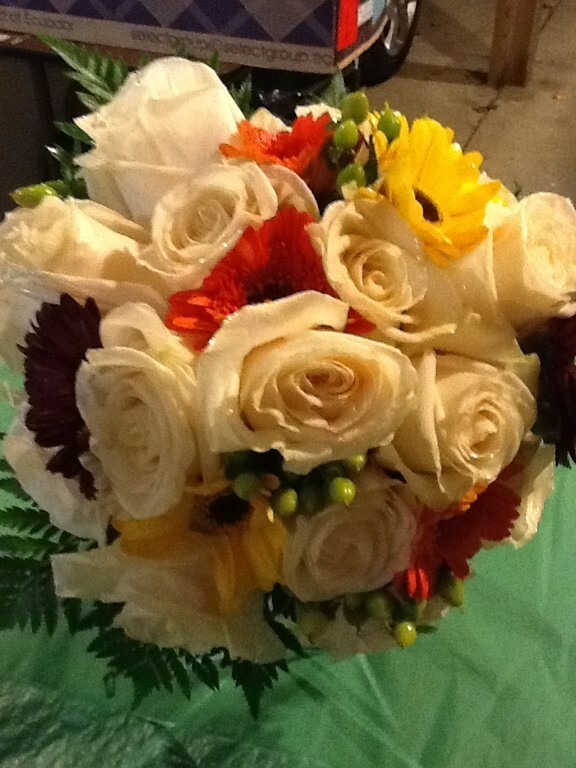 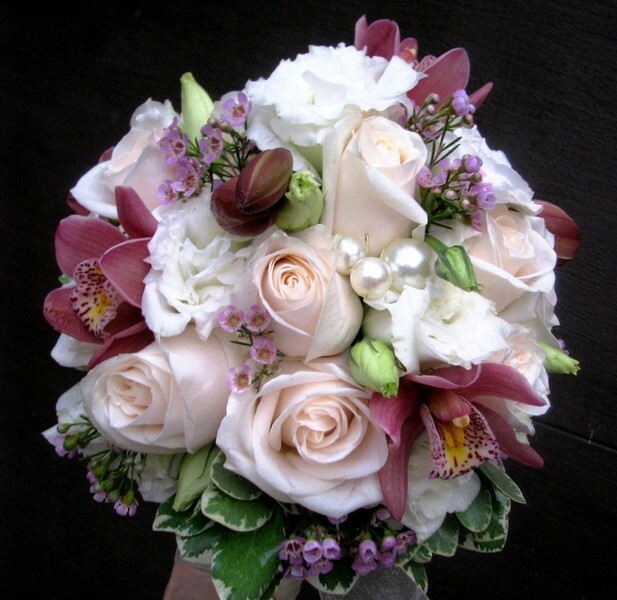 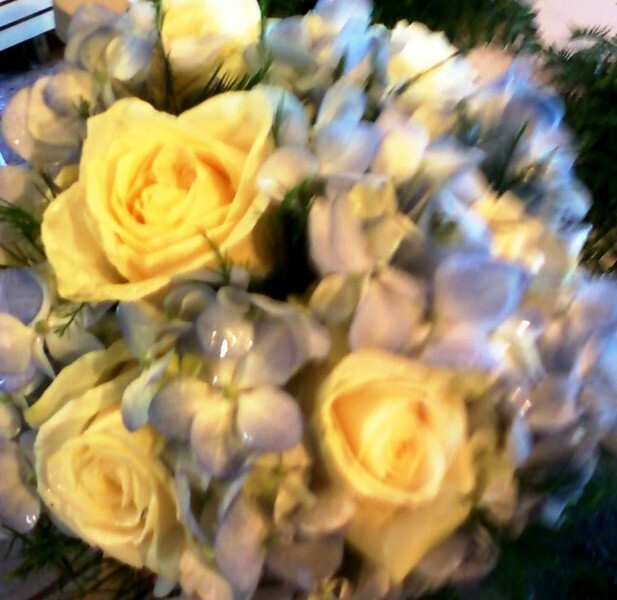 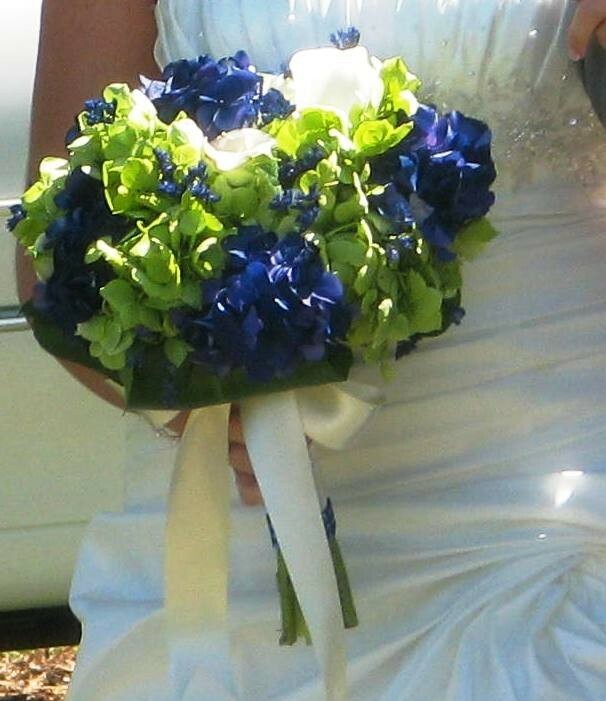 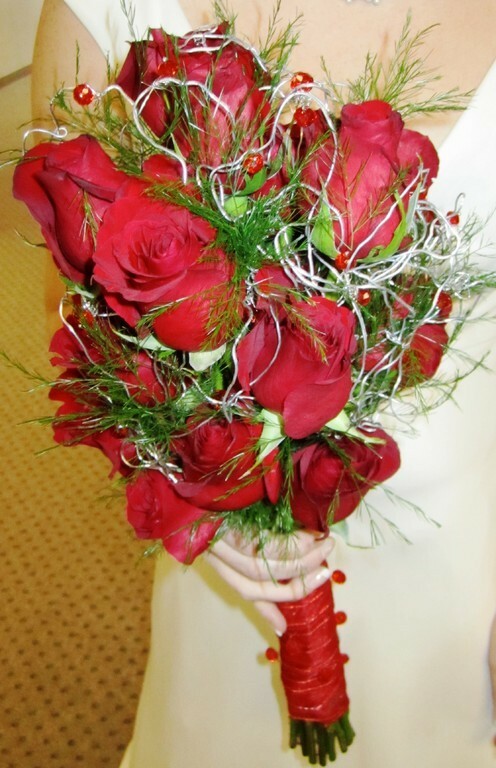 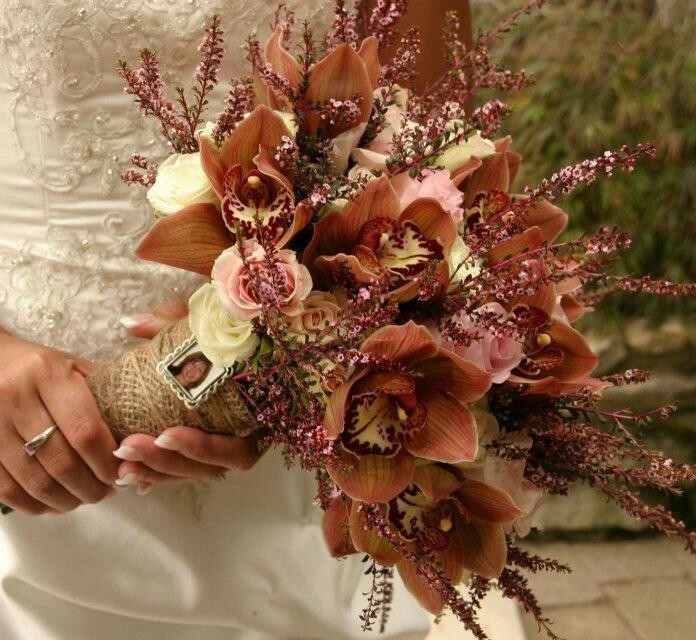 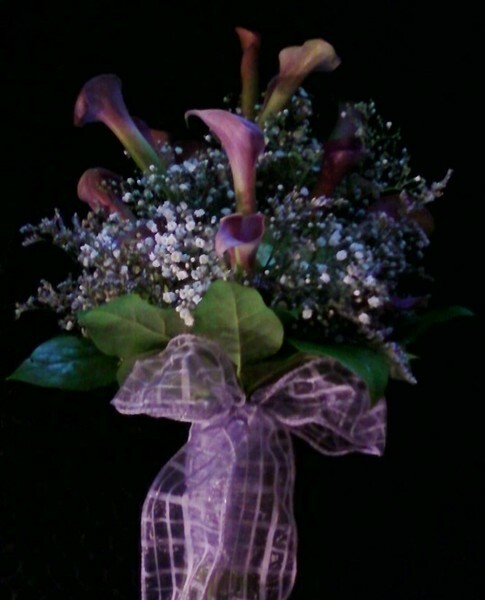 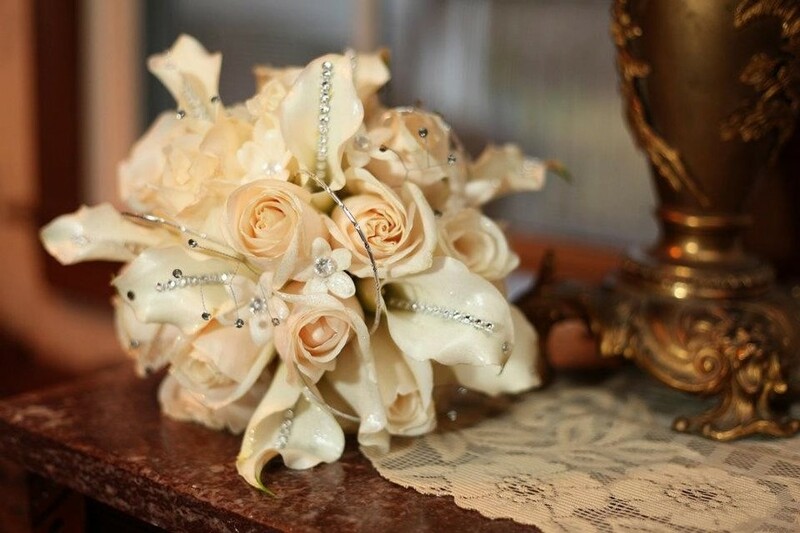 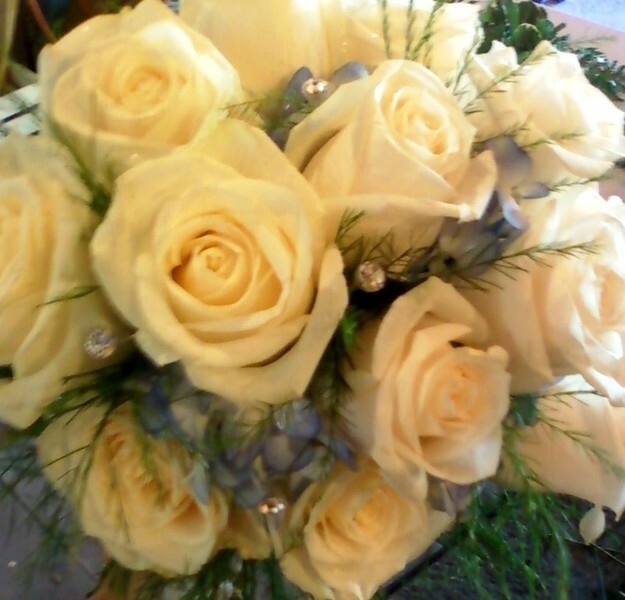 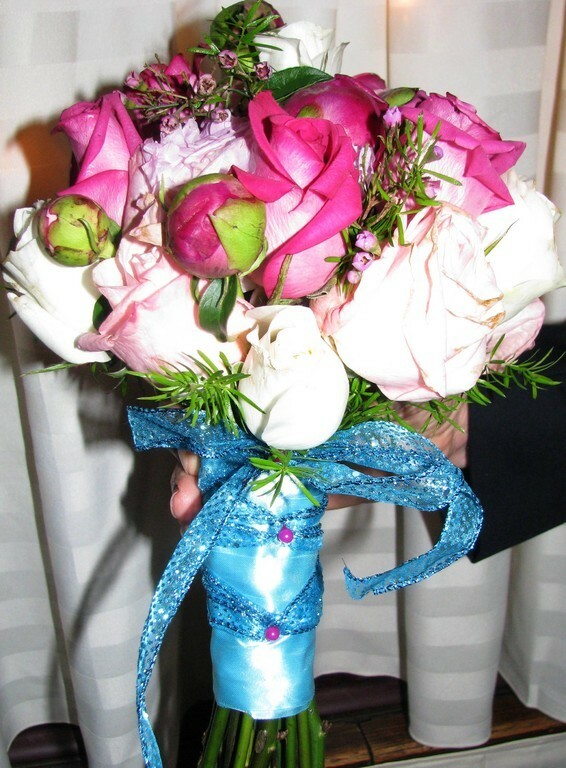 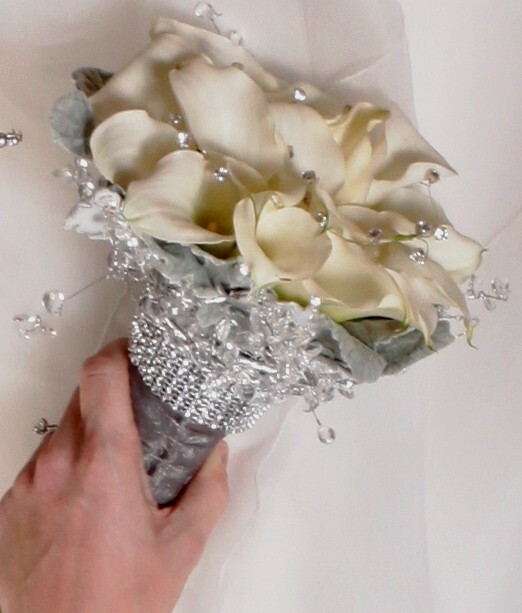 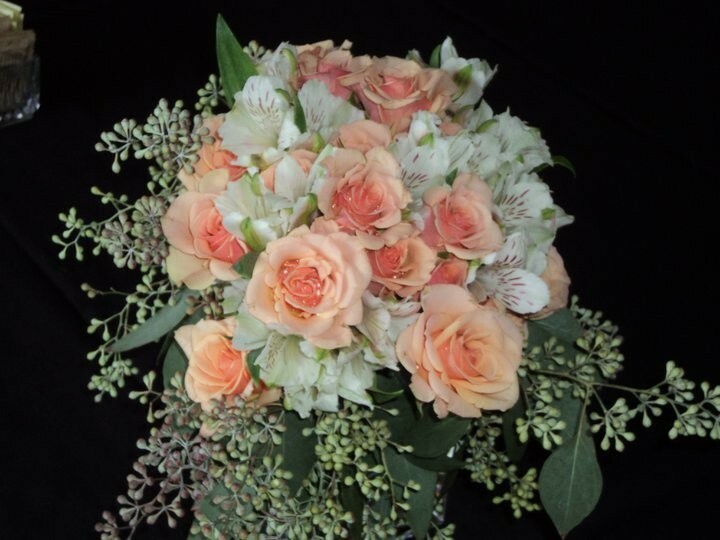 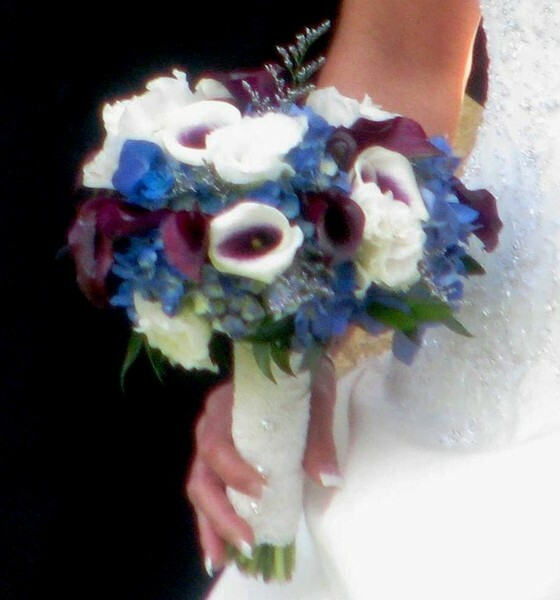 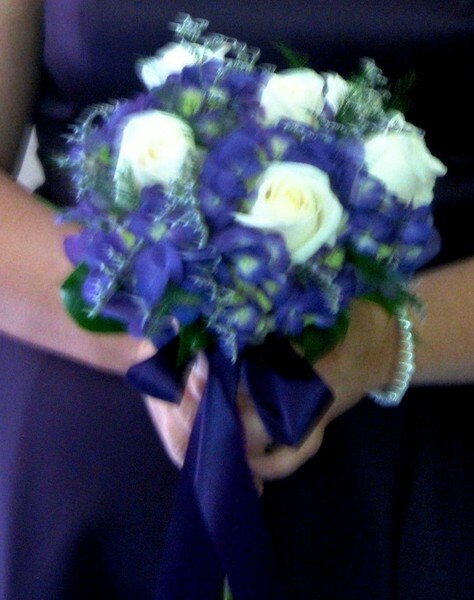 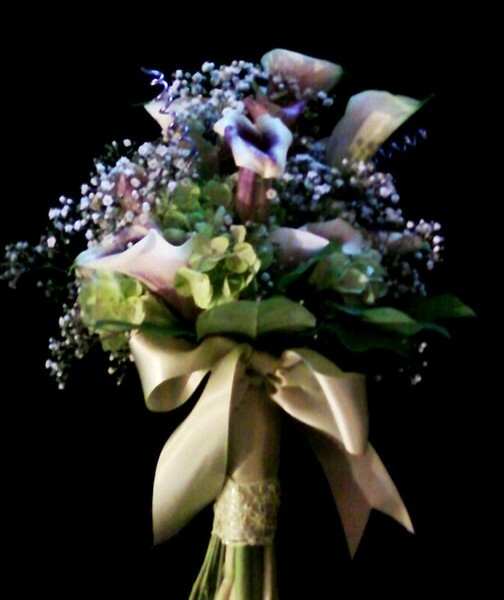 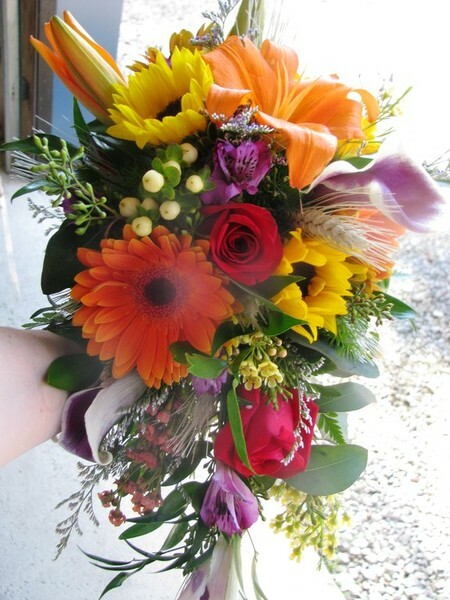 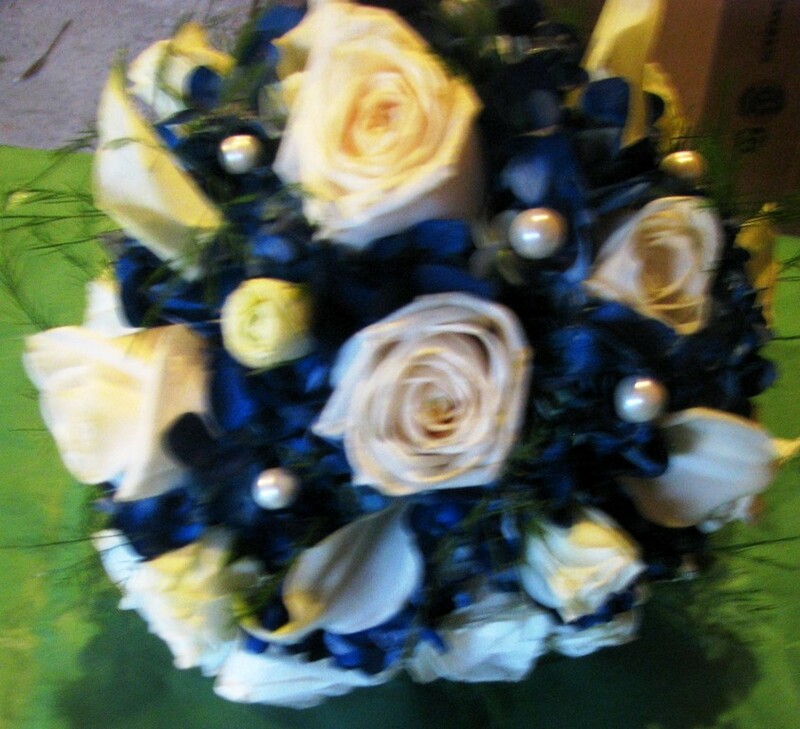 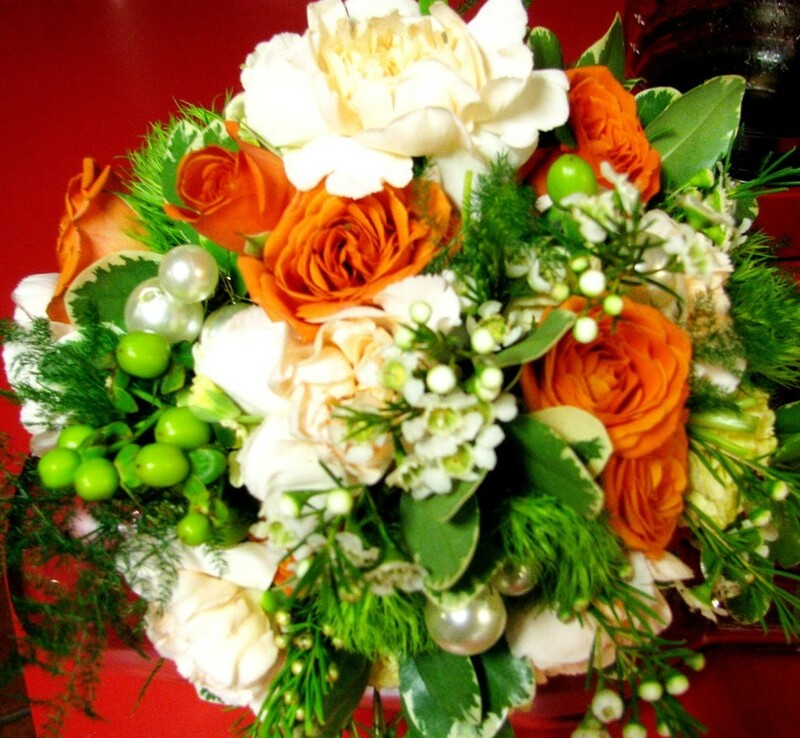 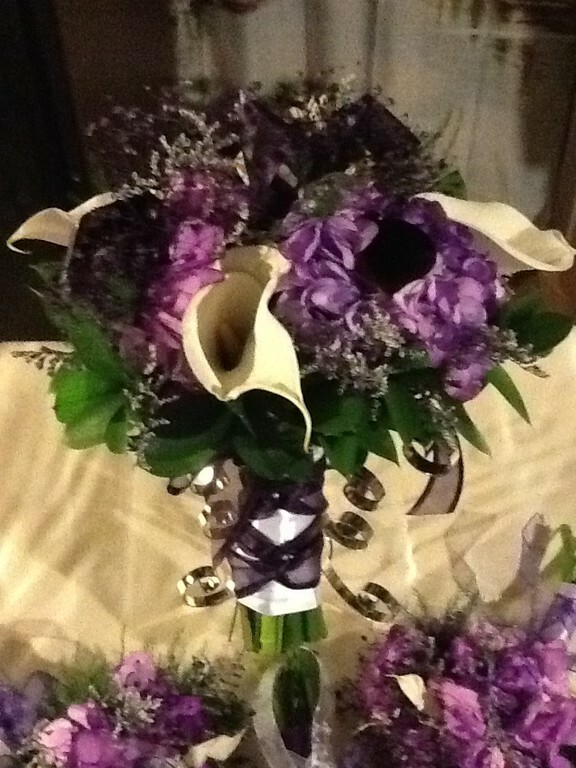 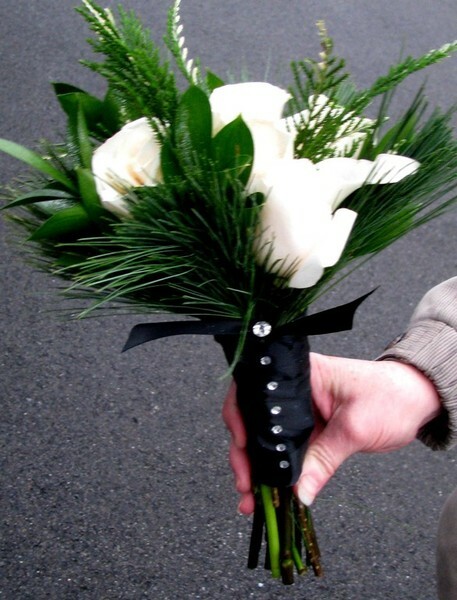 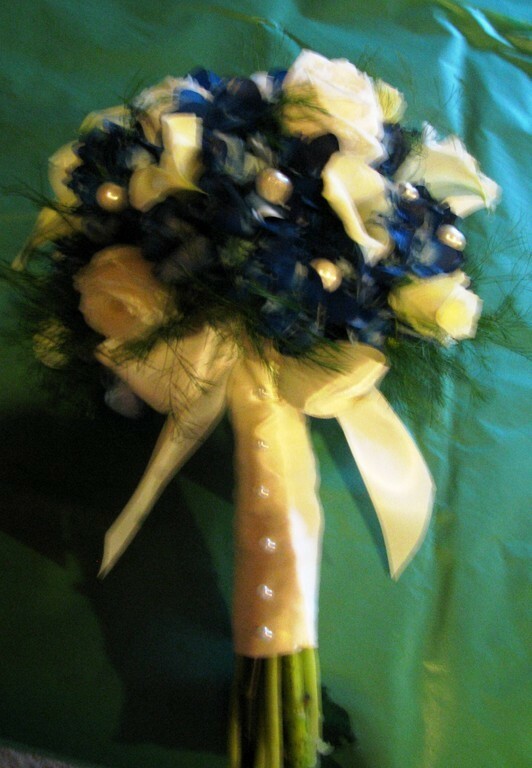 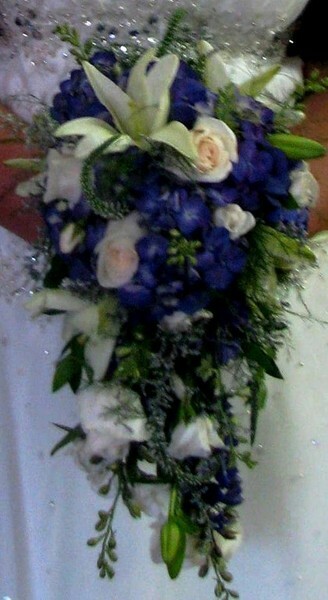 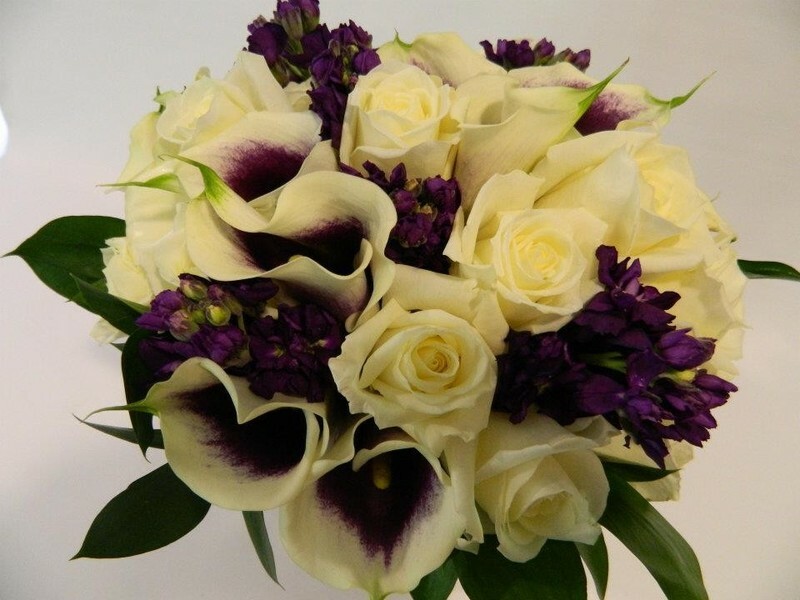 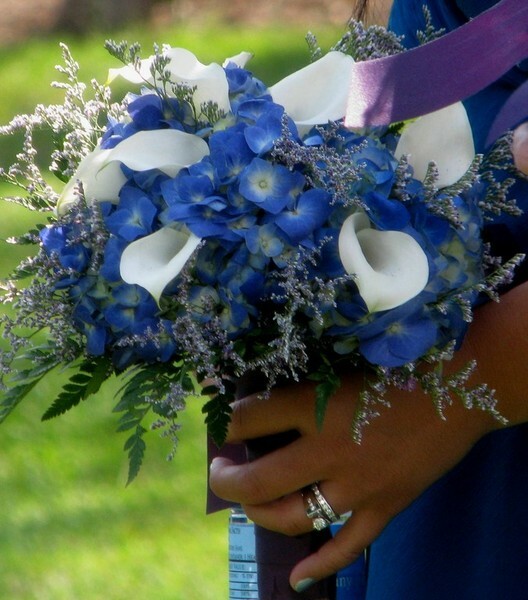 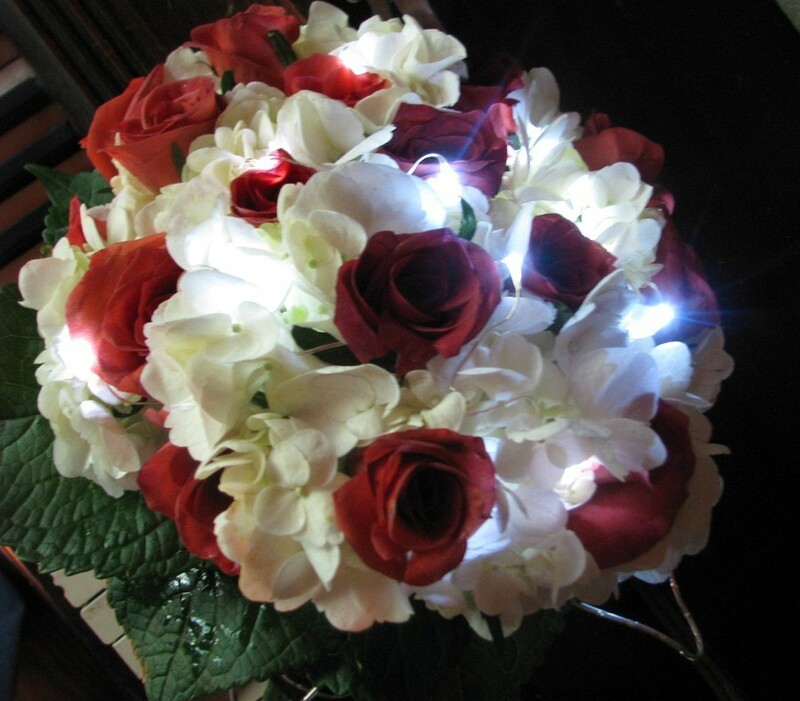 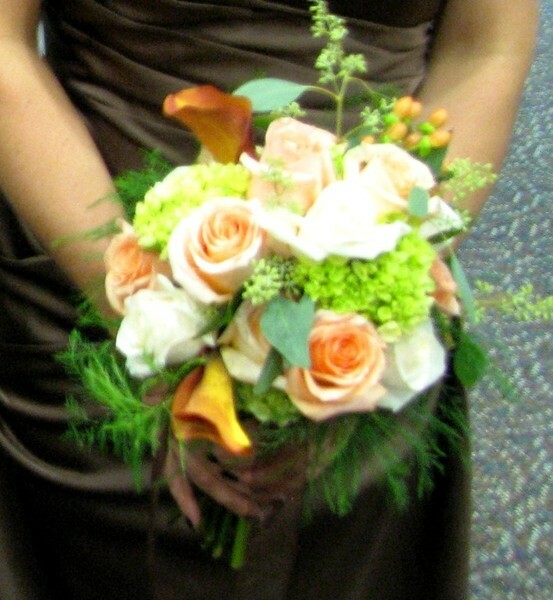 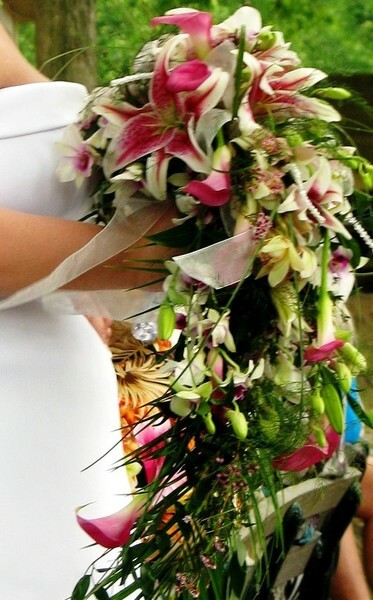 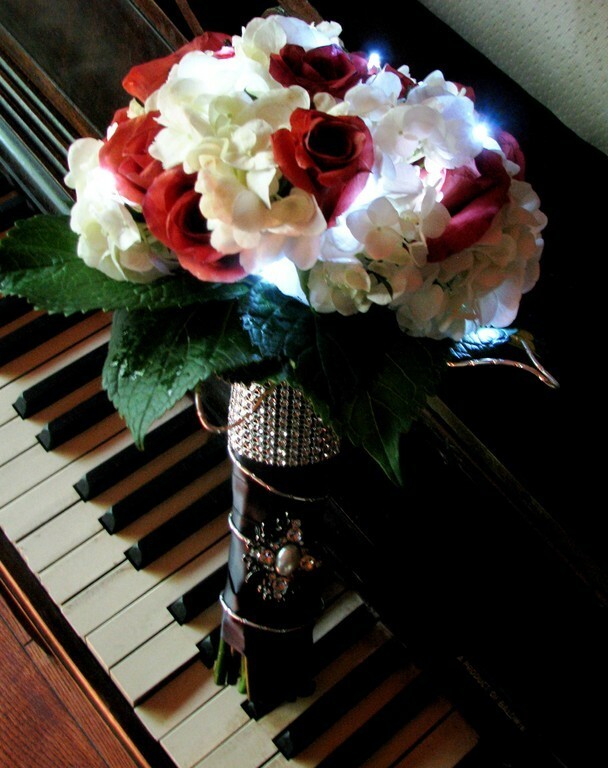 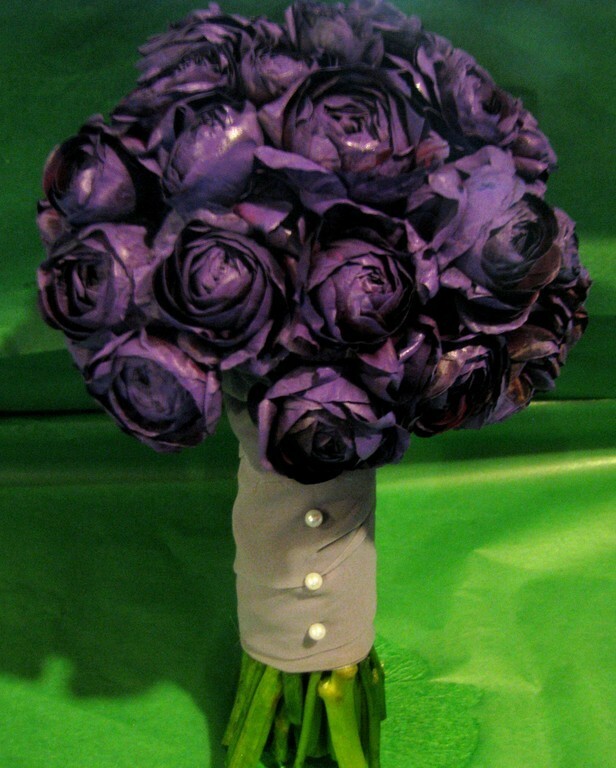 Here are a few pictures of some past wedding bouquets that you can view to get some ideas if you are not sure of what you have in mind for your wedding bouquets.